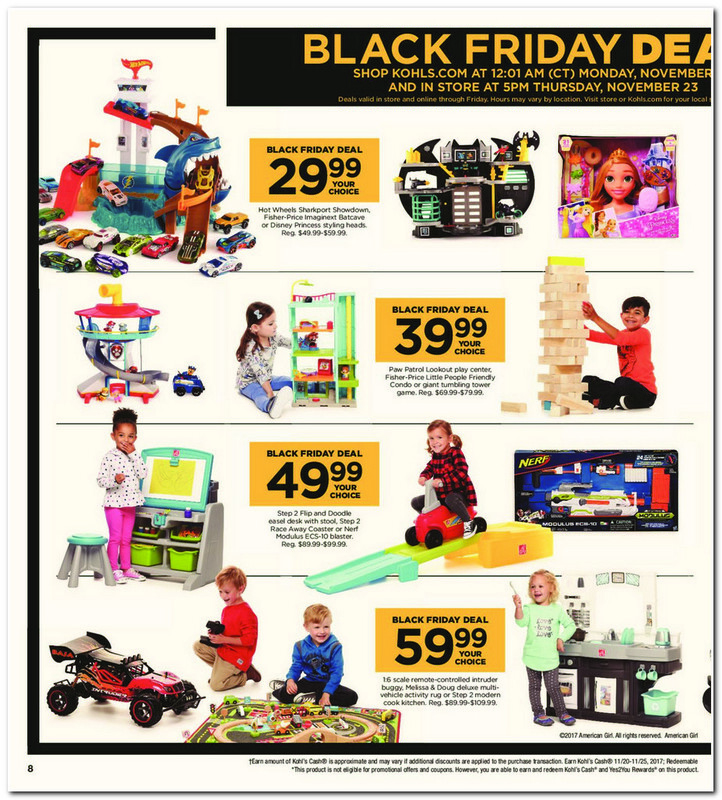 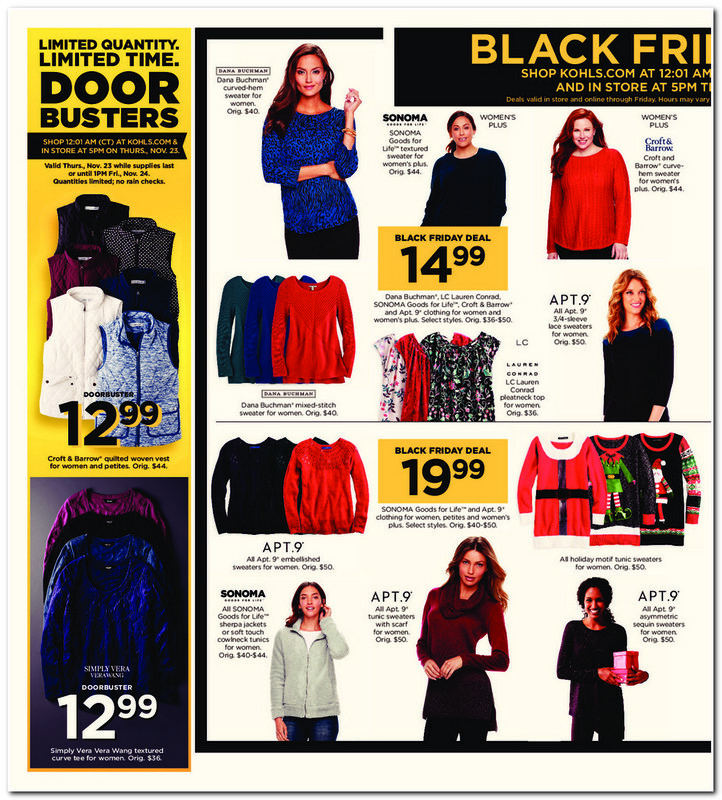 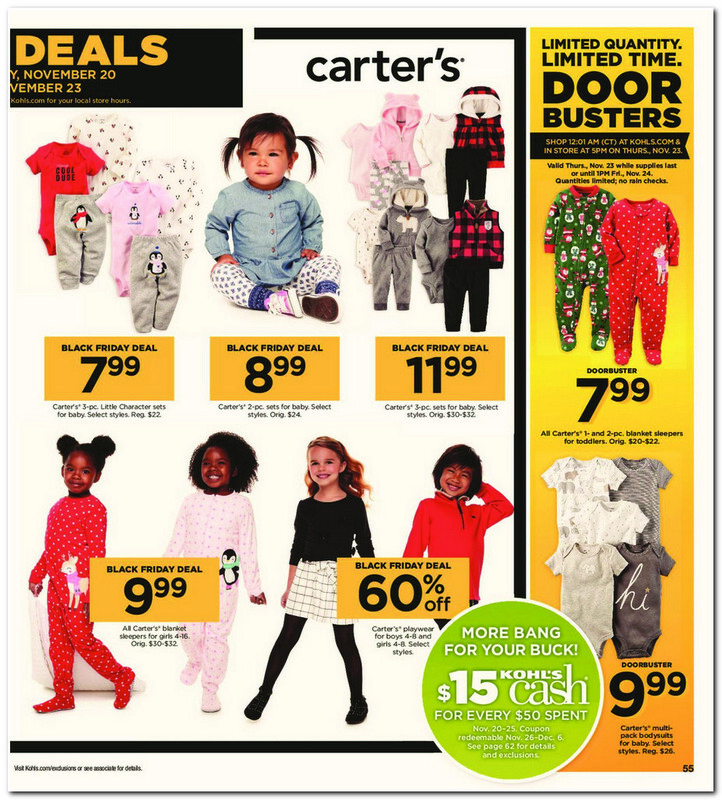 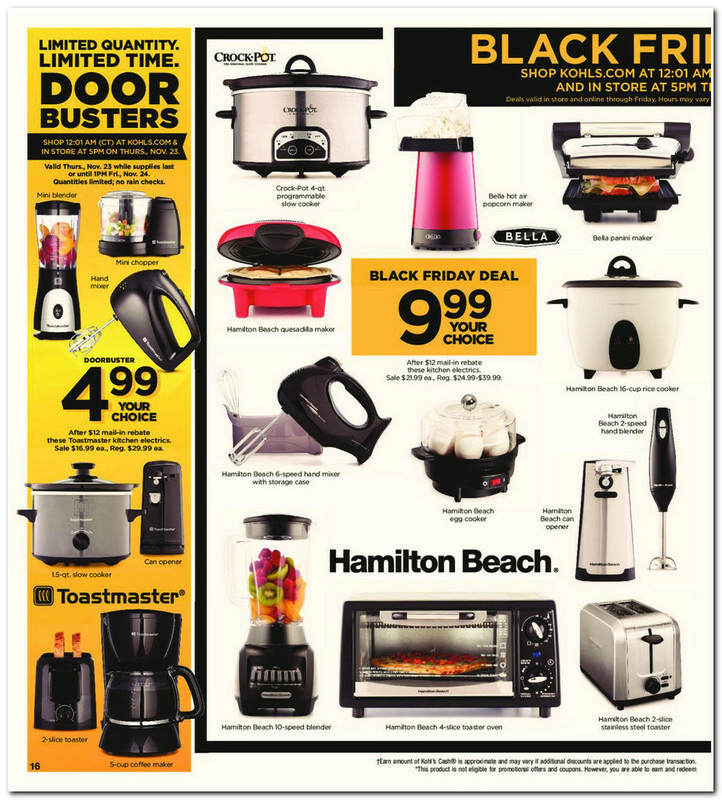 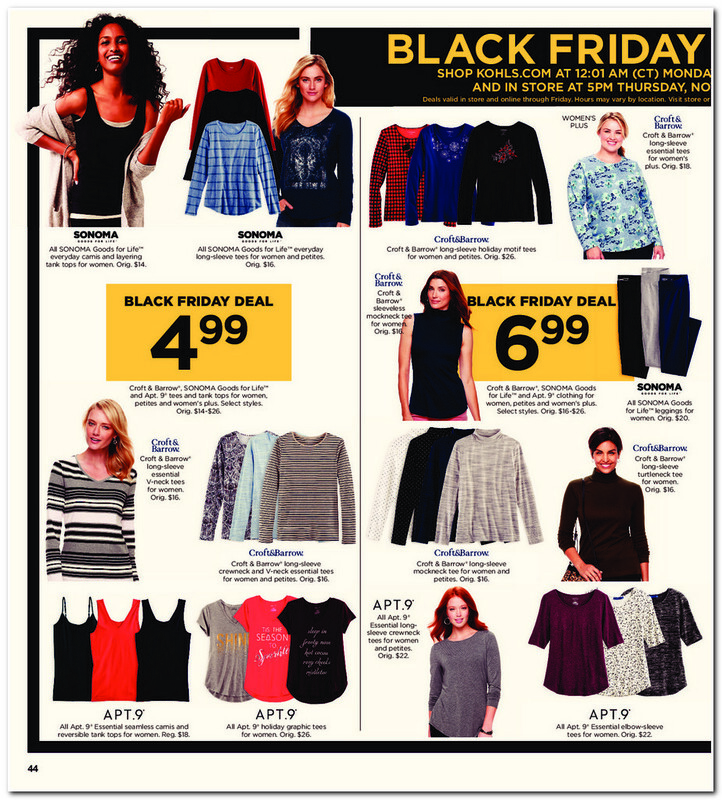 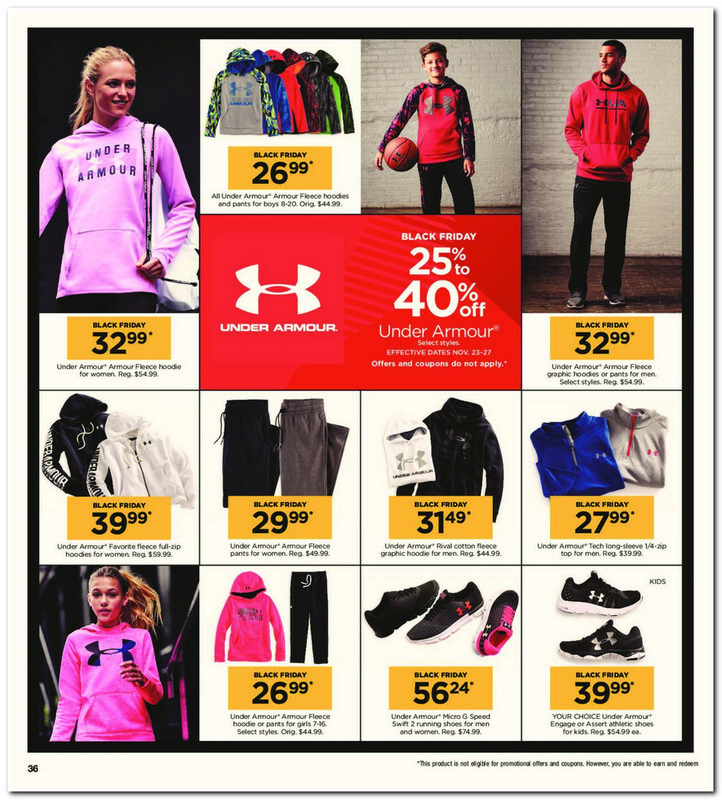 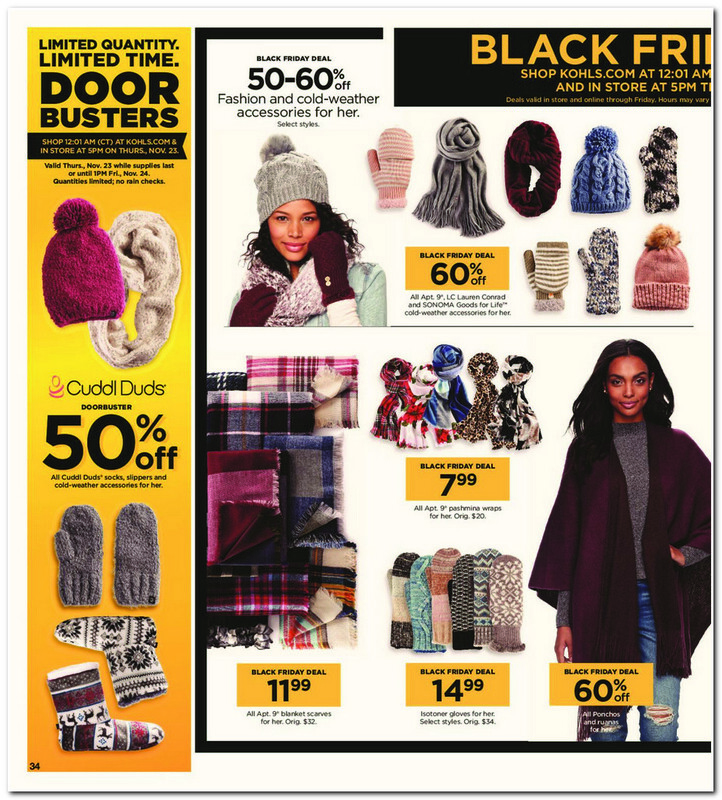 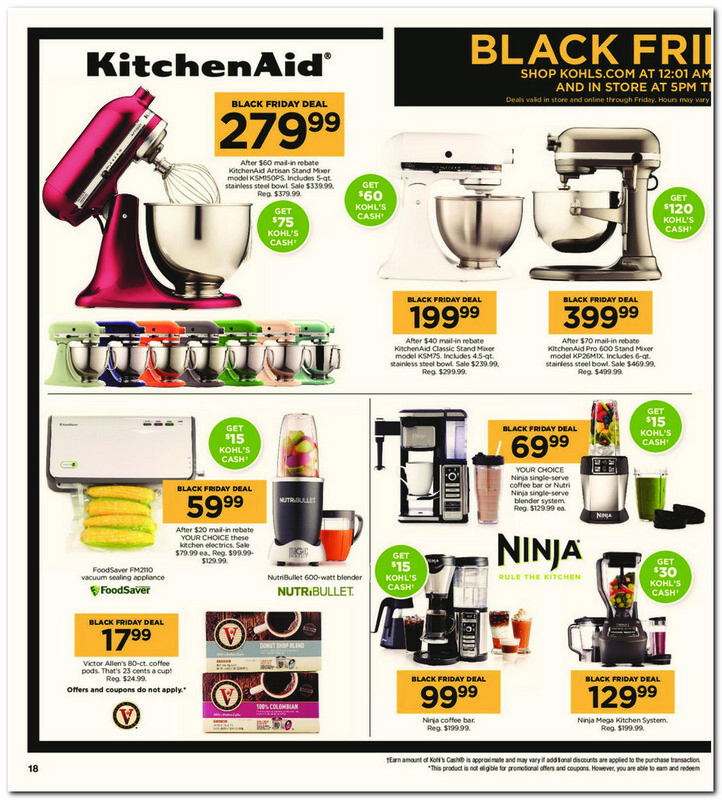 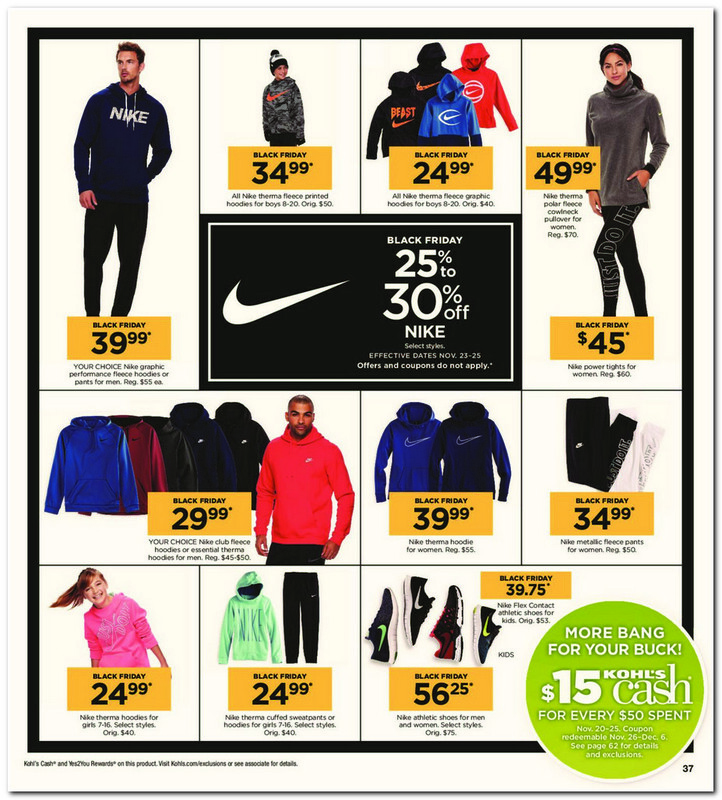 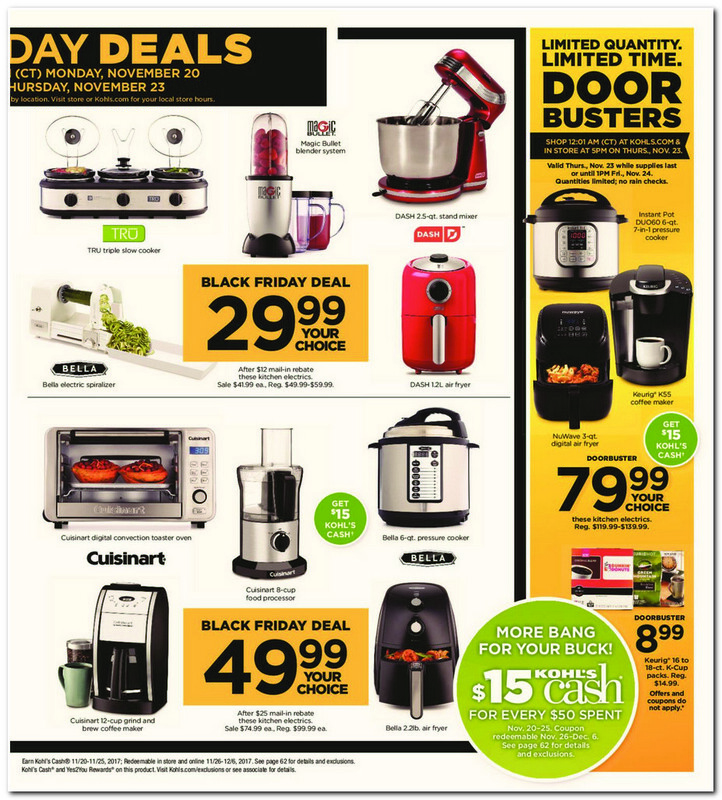 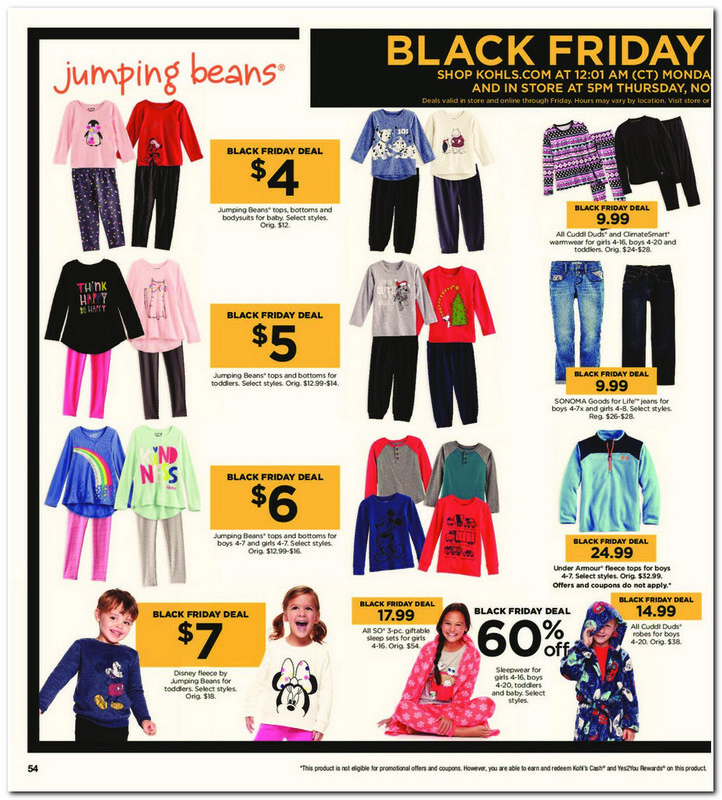 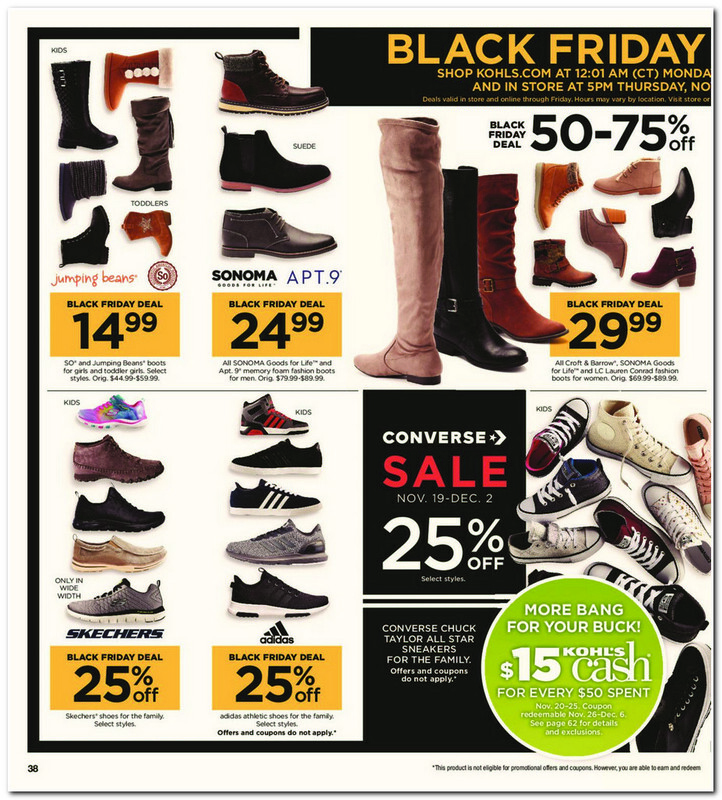 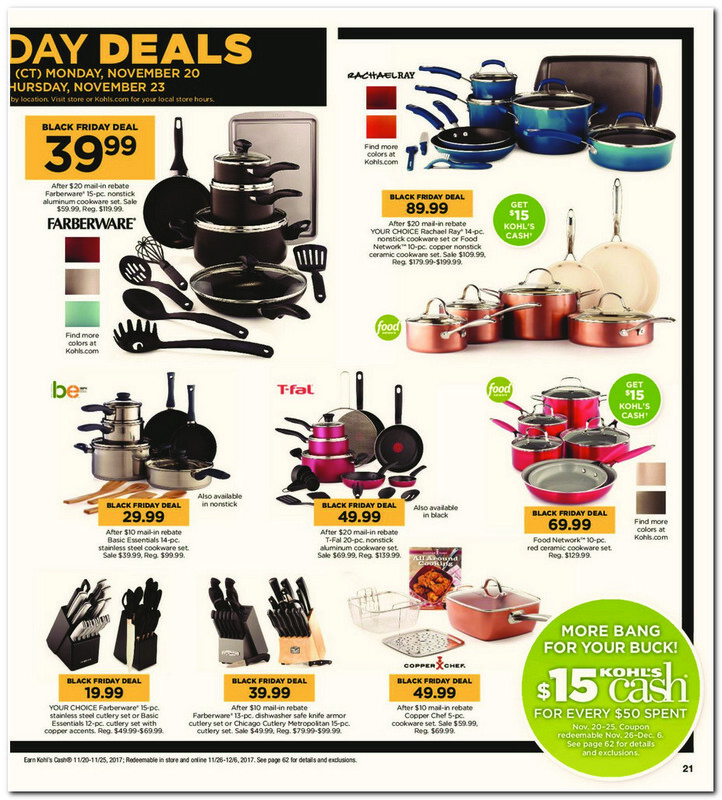 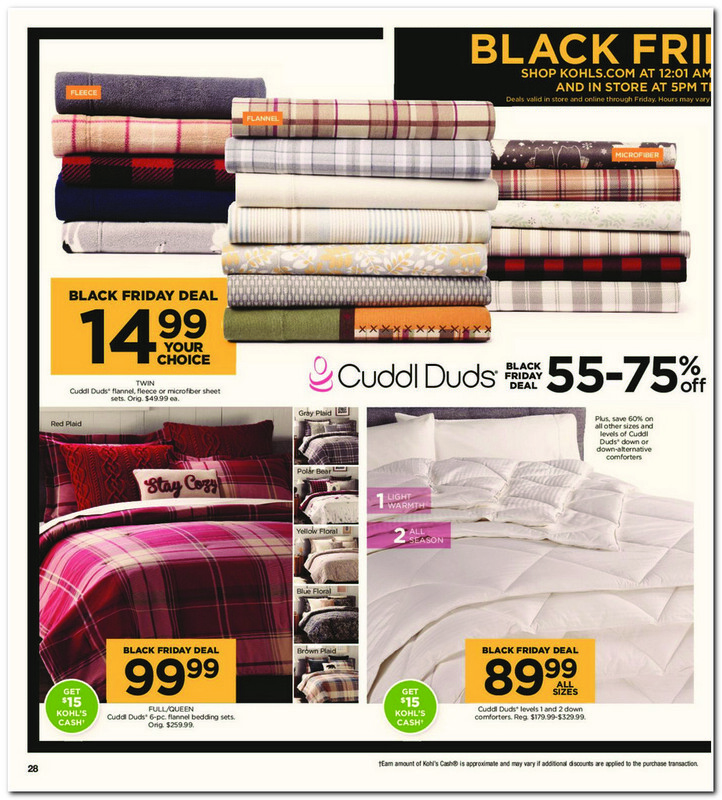 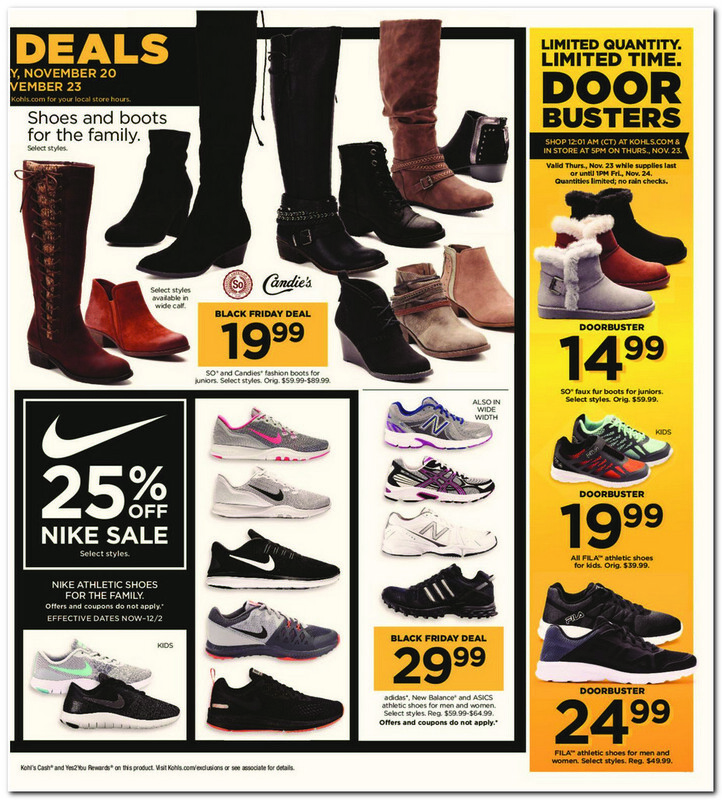 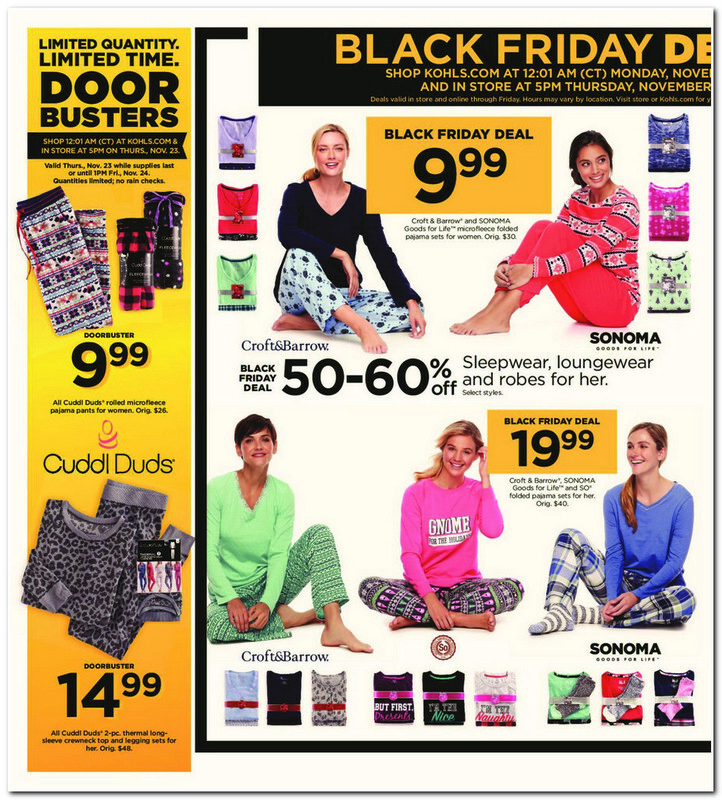 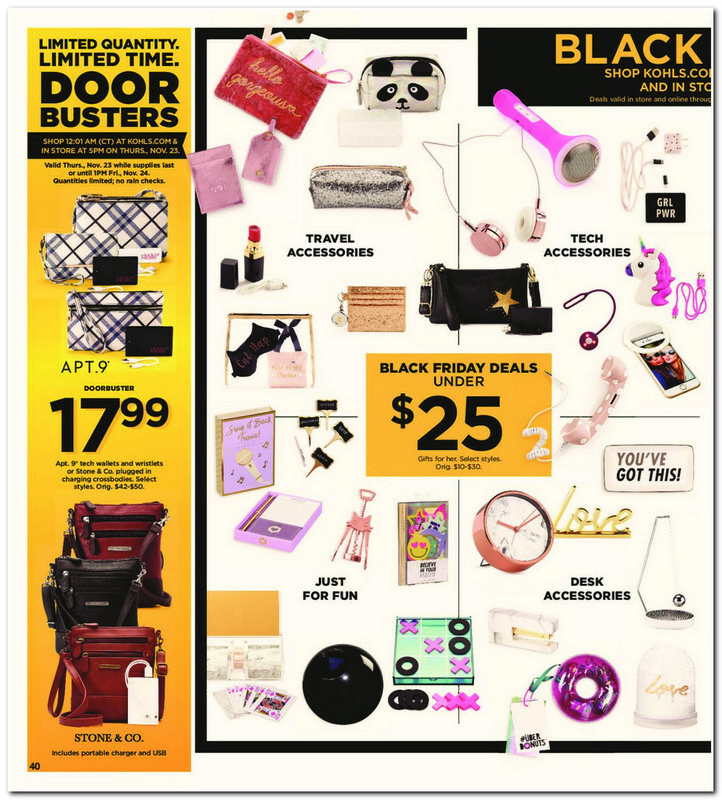 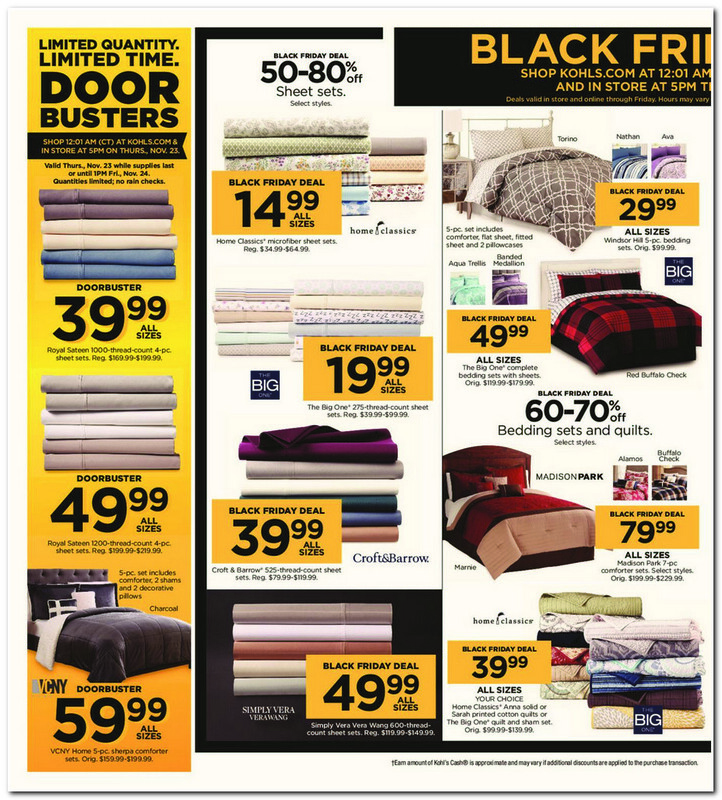 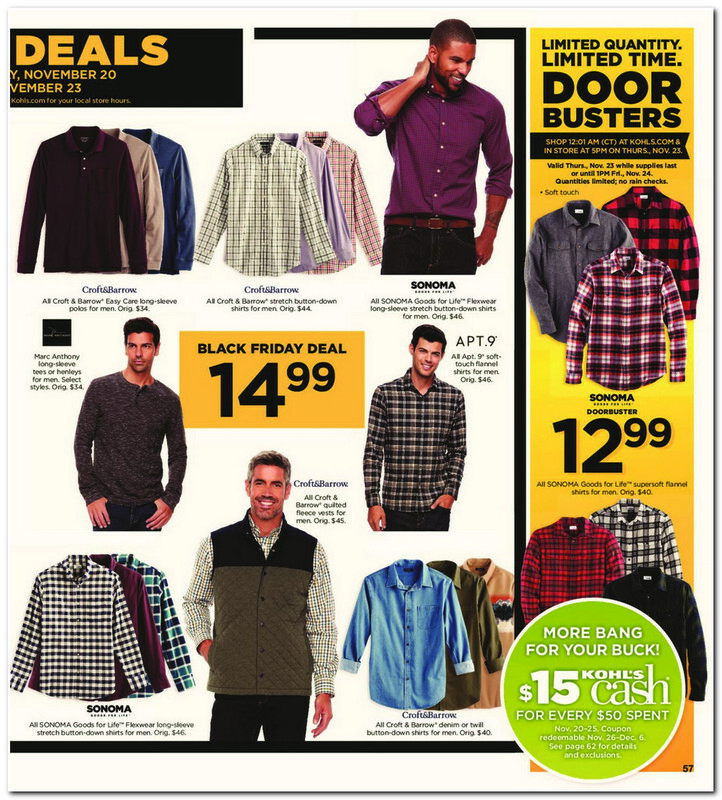 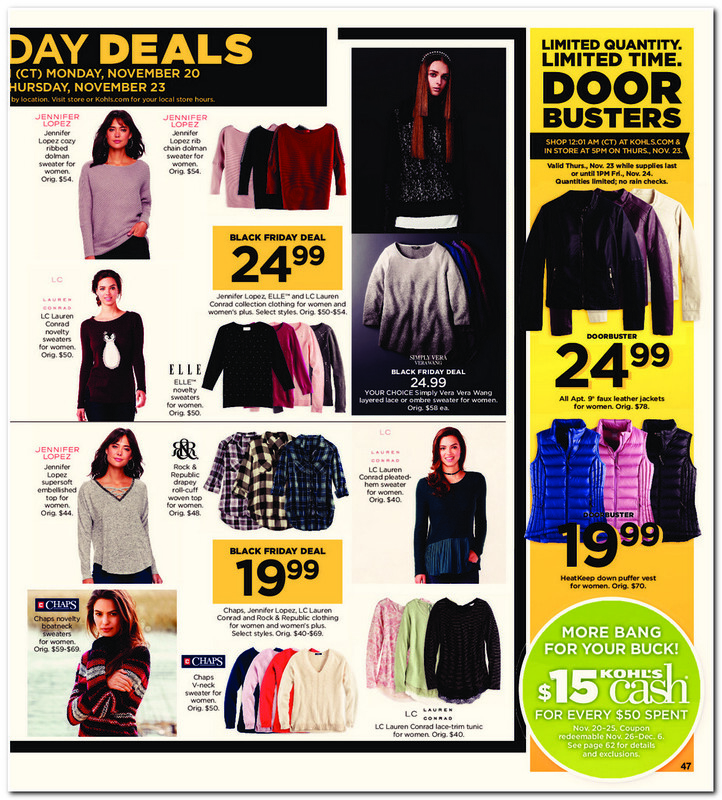 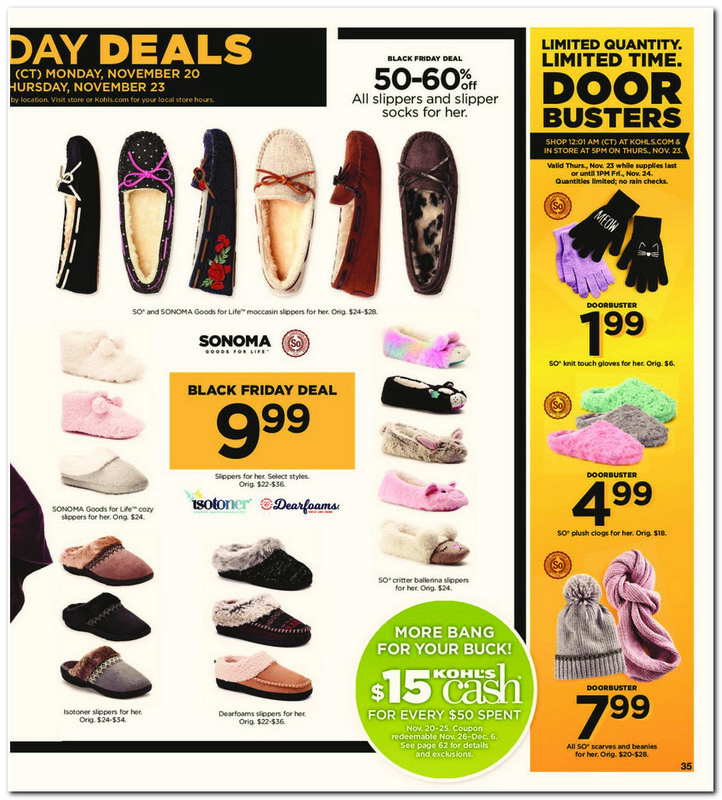 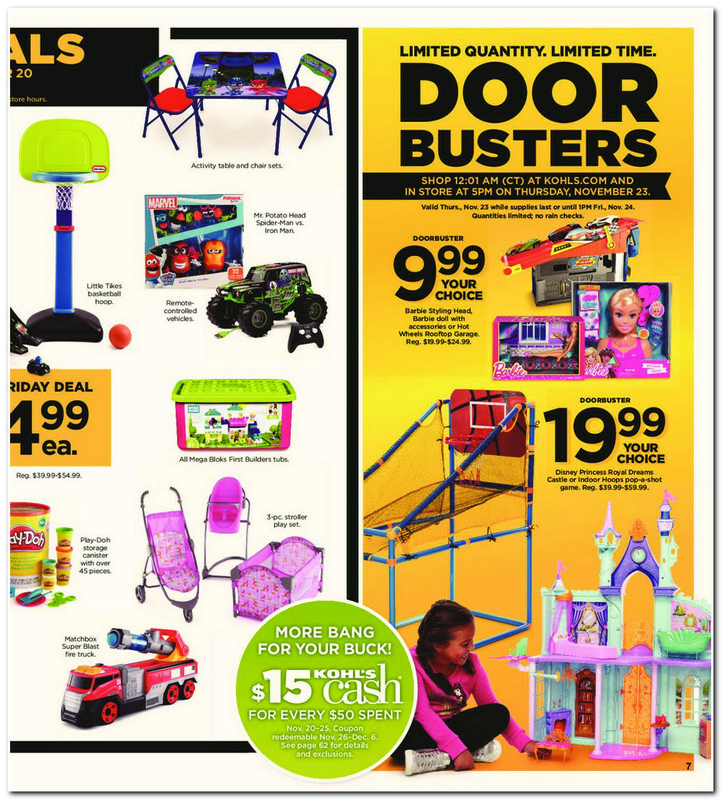 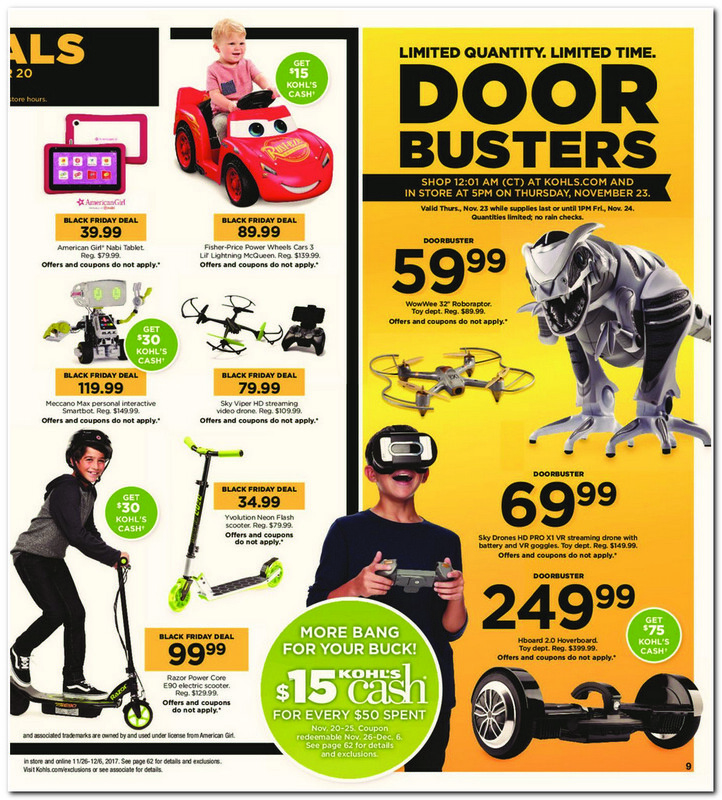 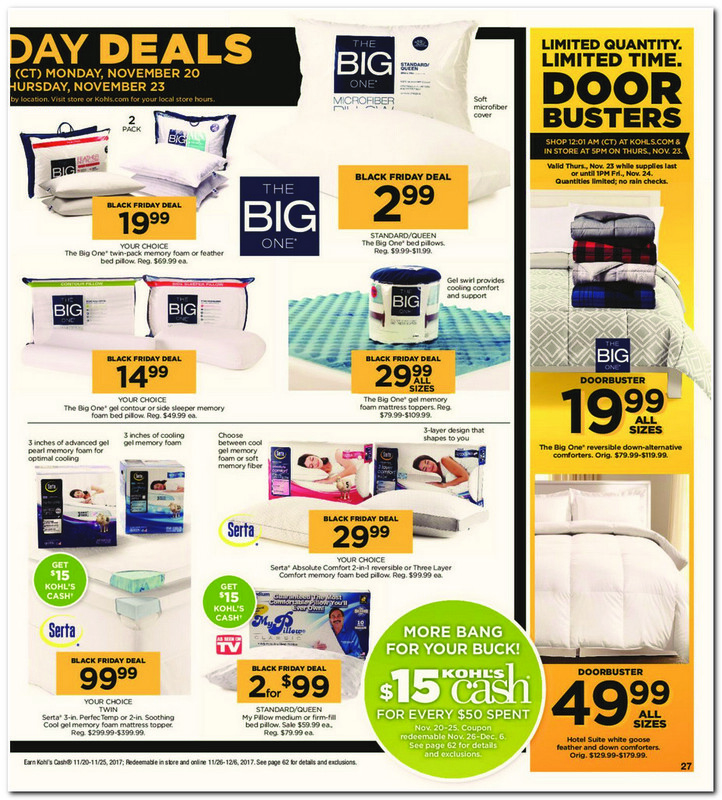 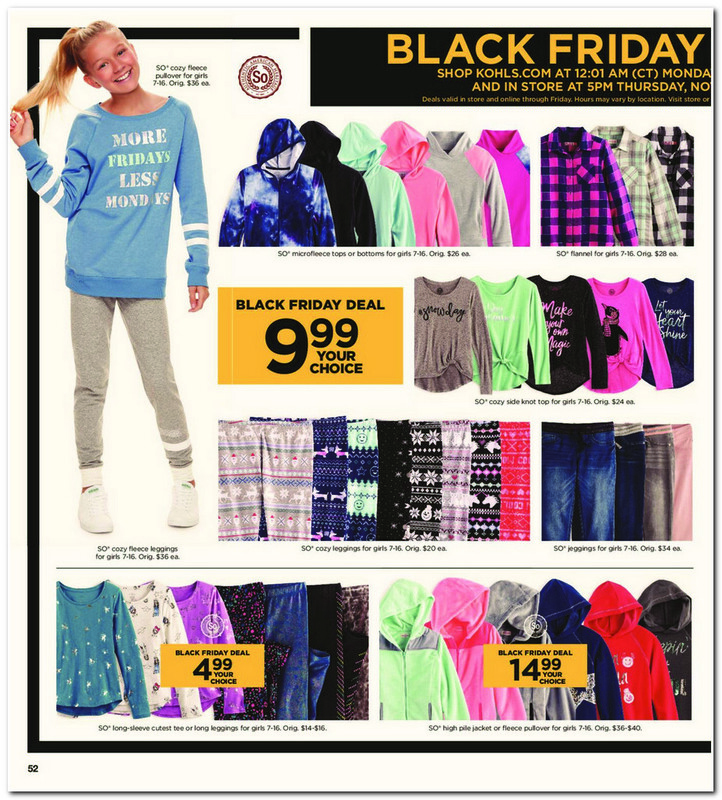 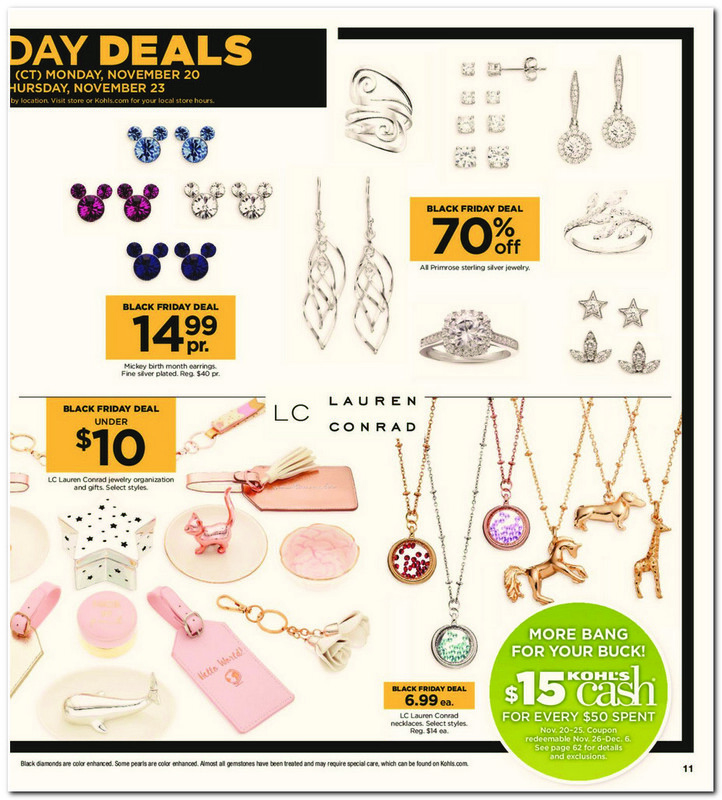 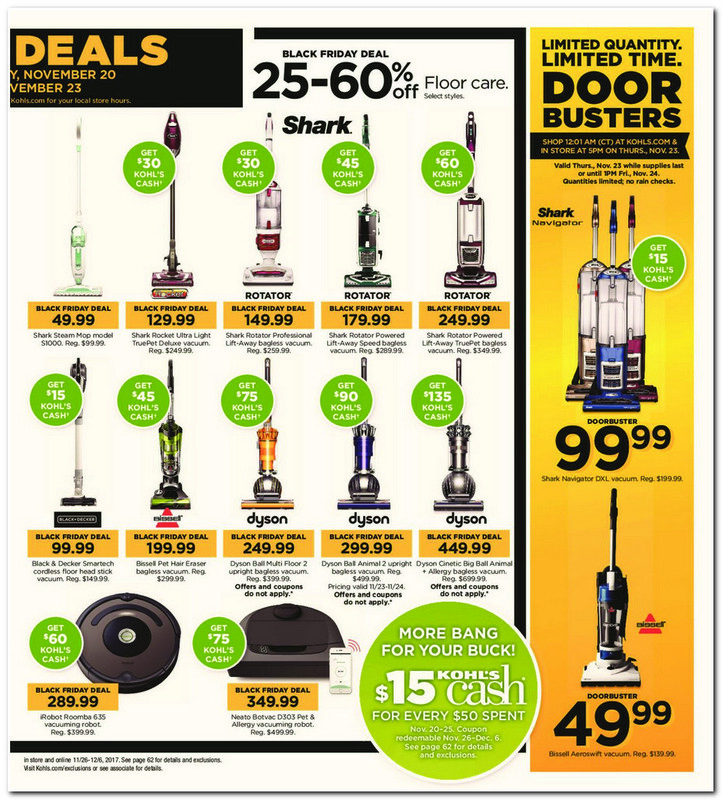 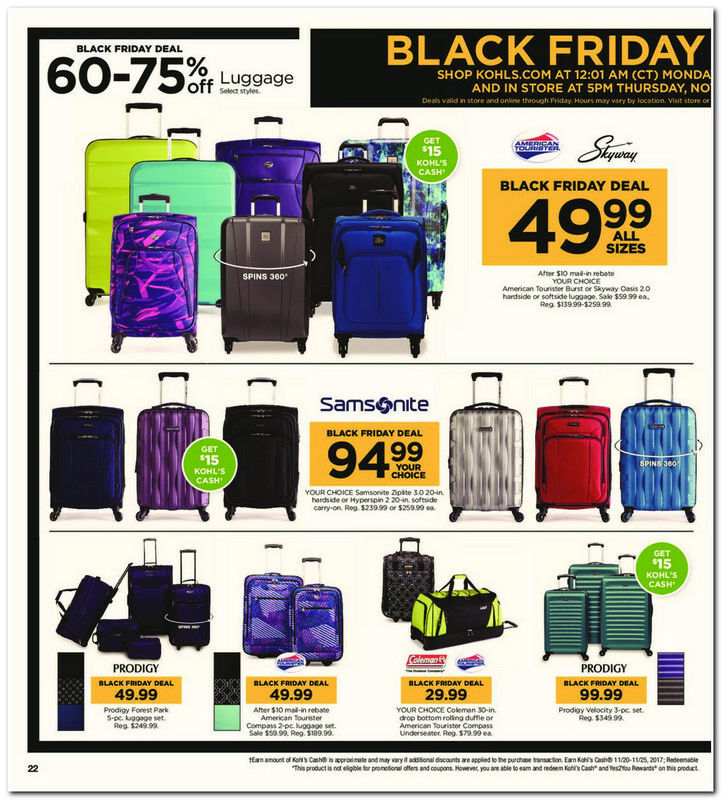 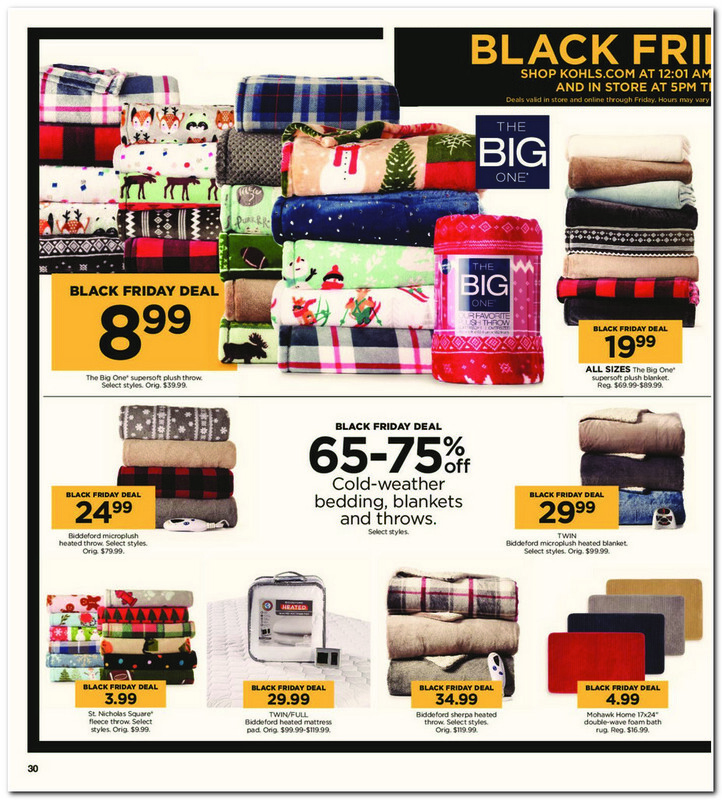 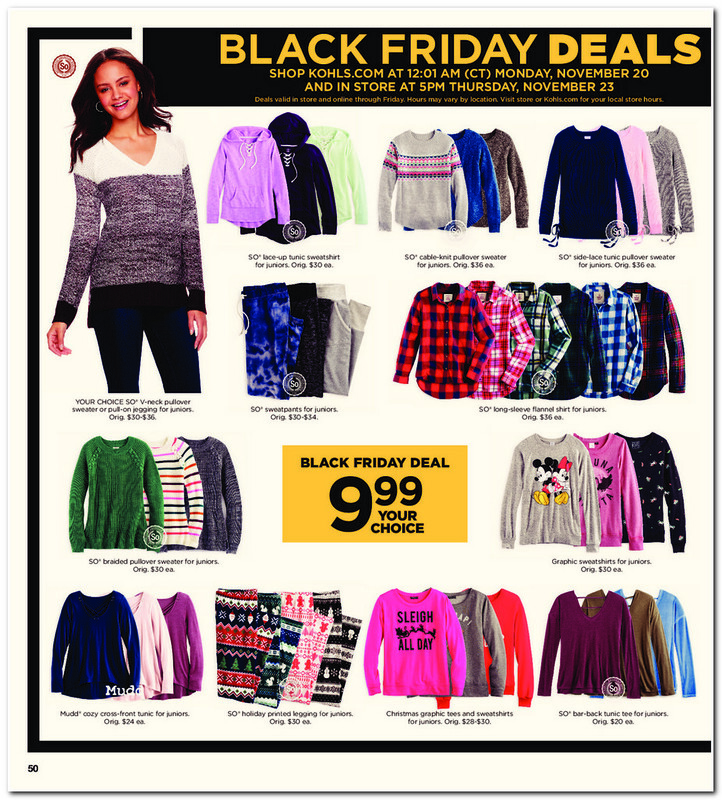 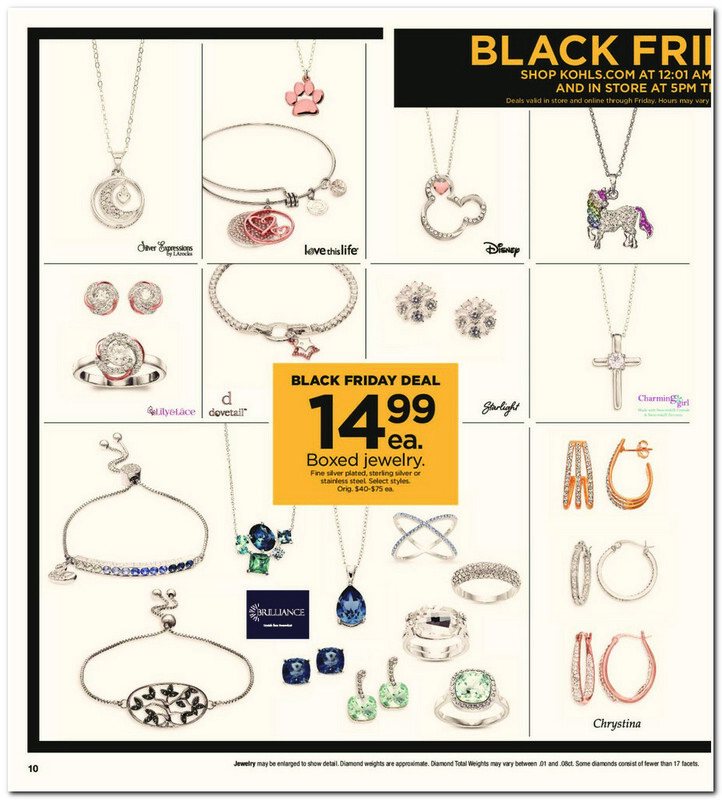 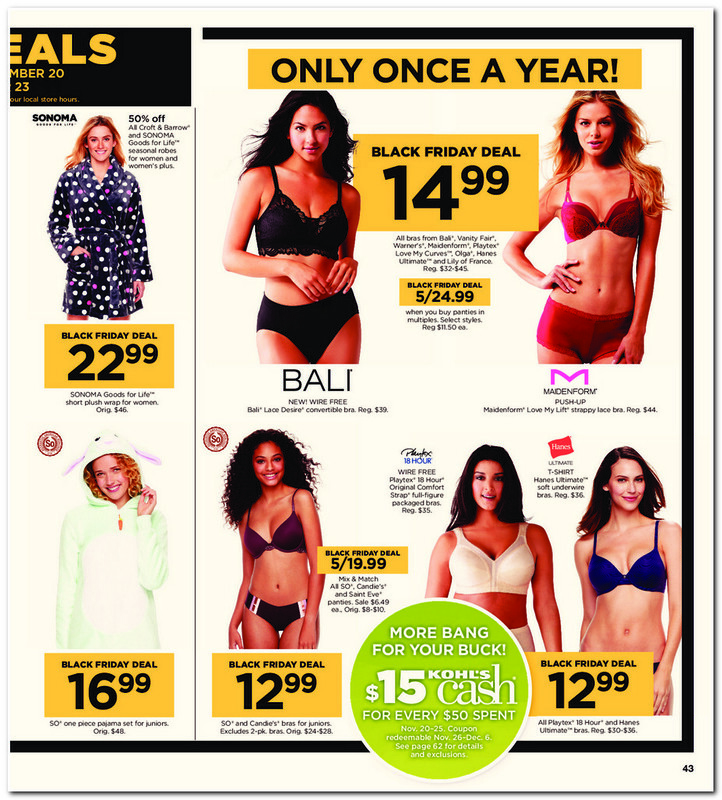 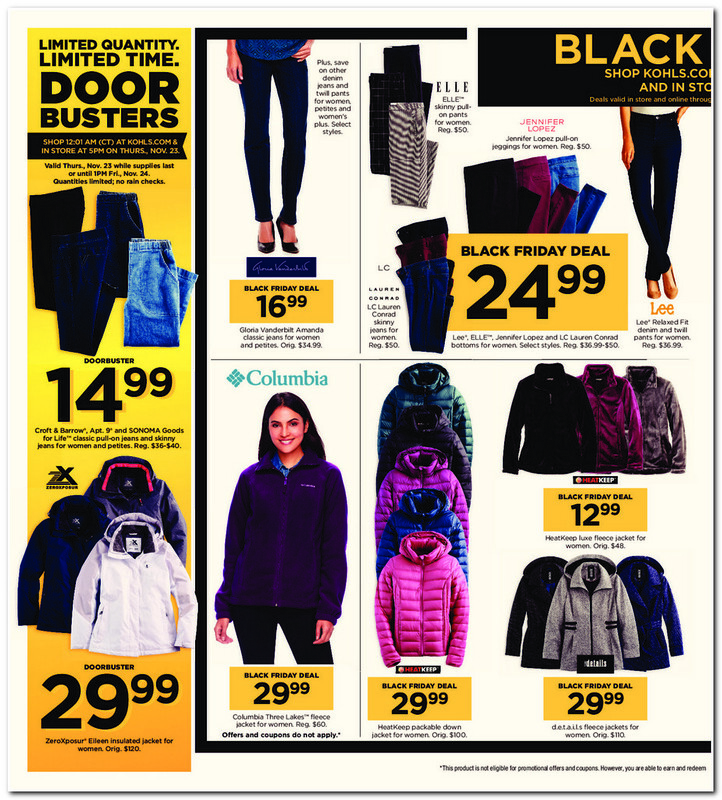 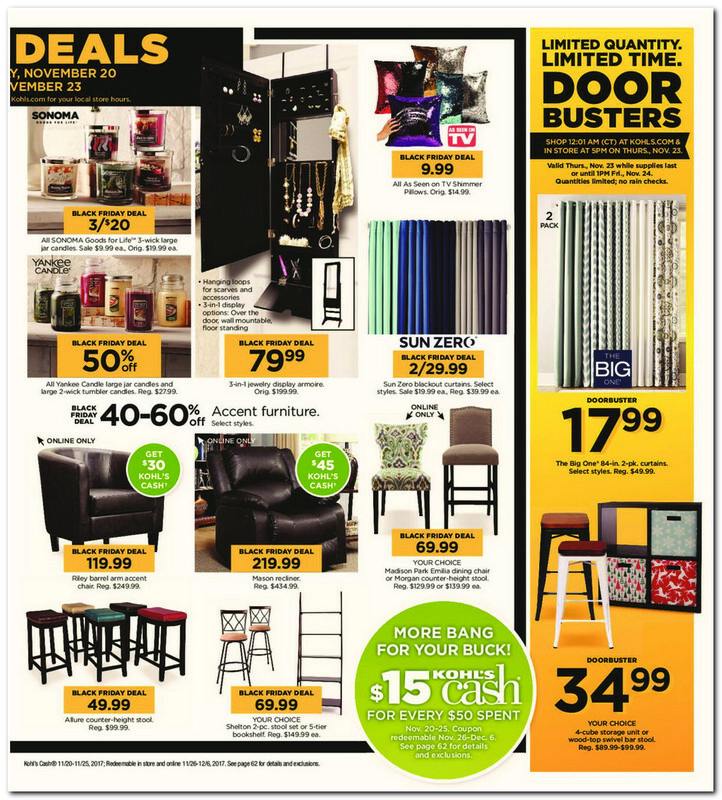 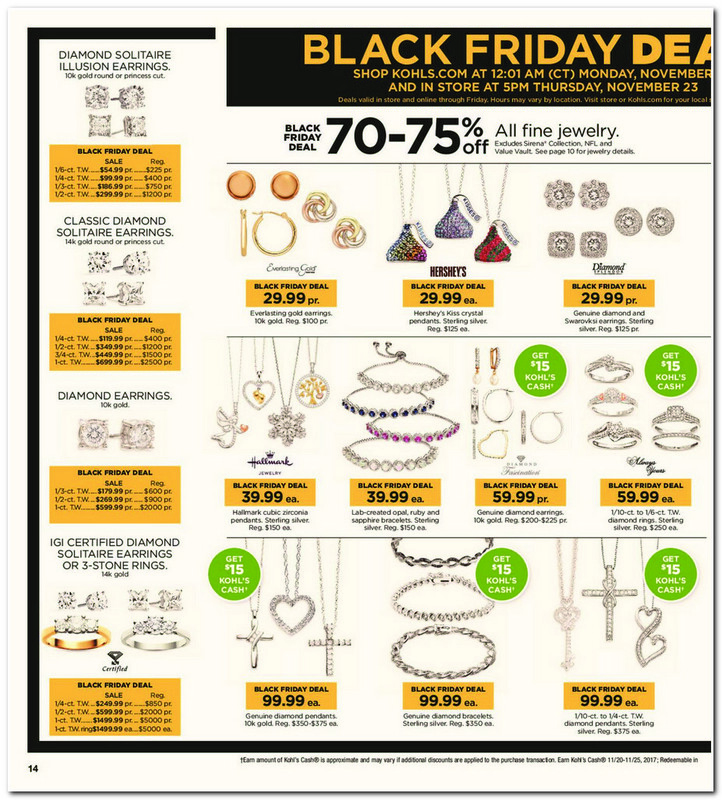 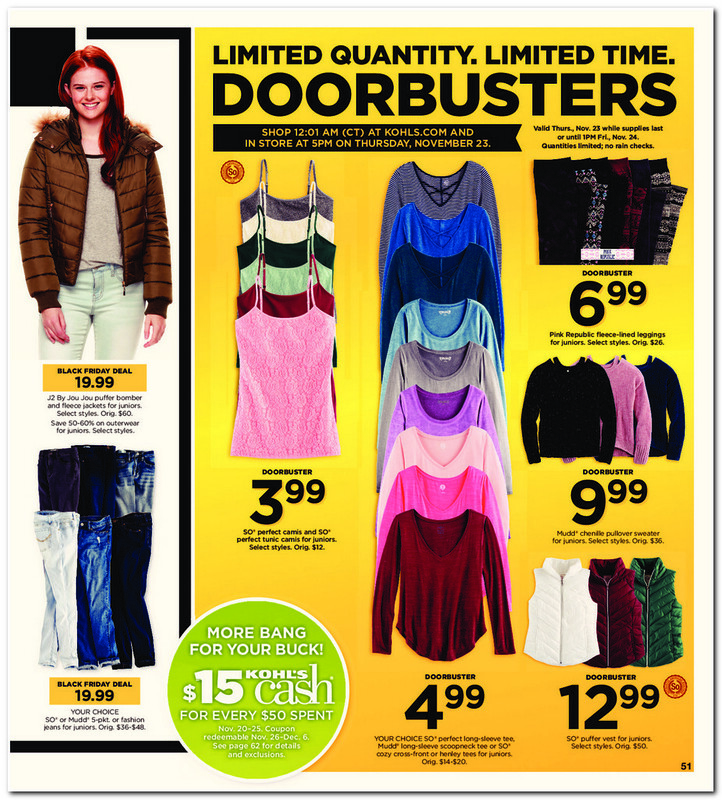 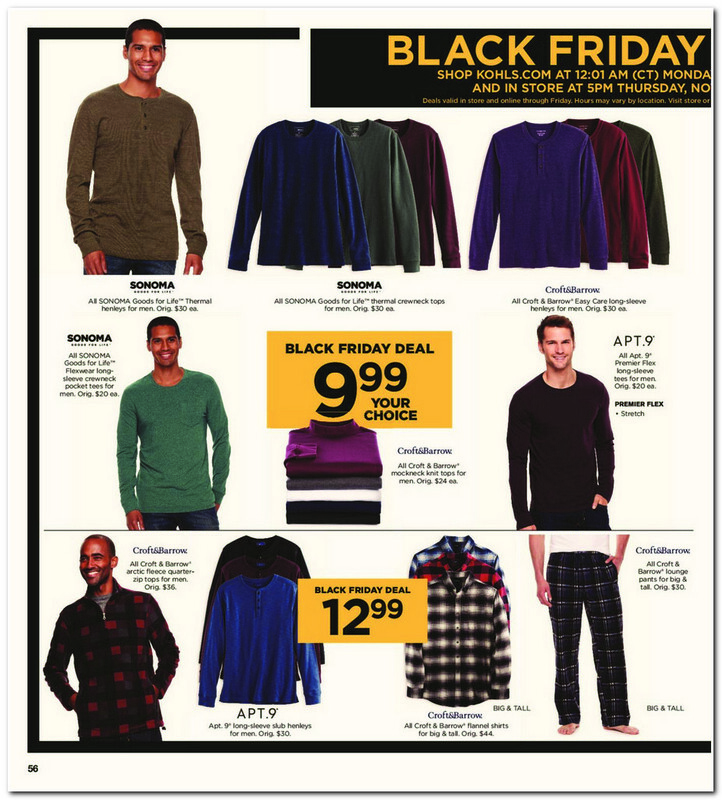 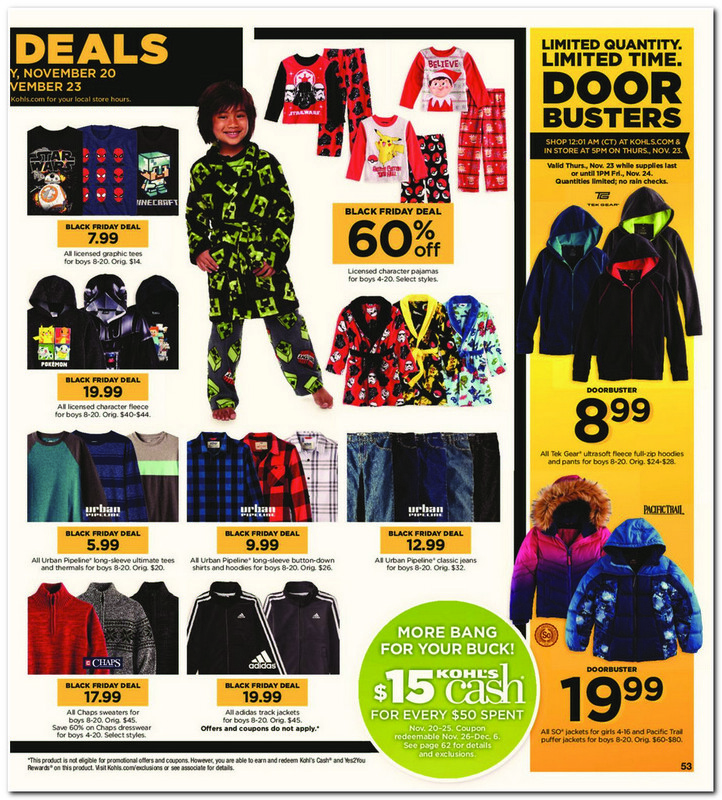 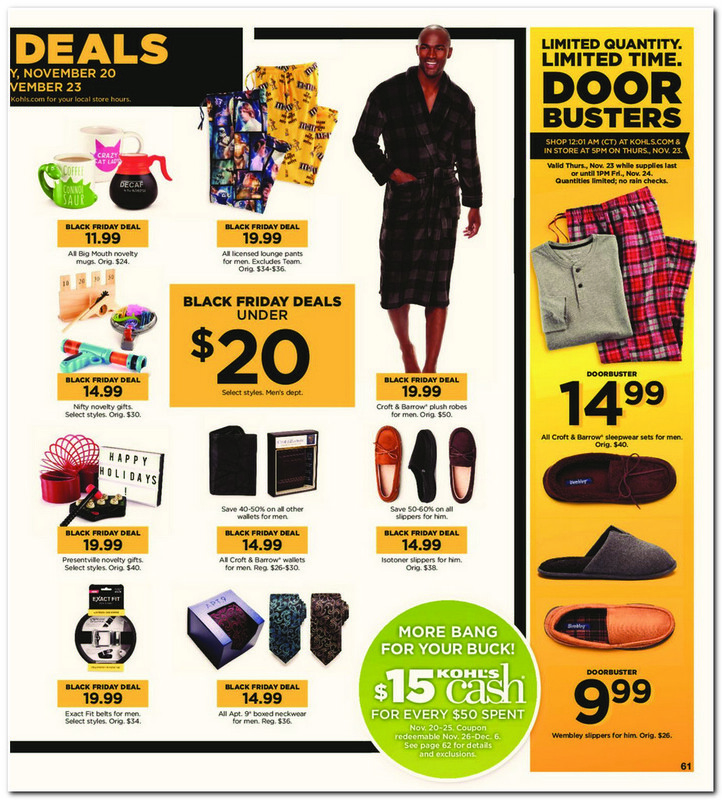 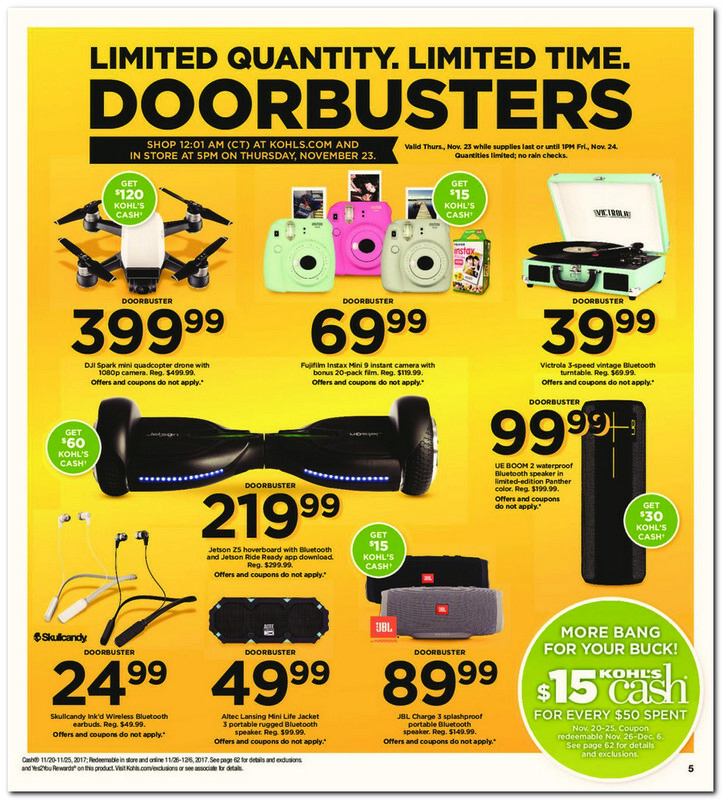 View Kohls Black Friday 2017 ad. 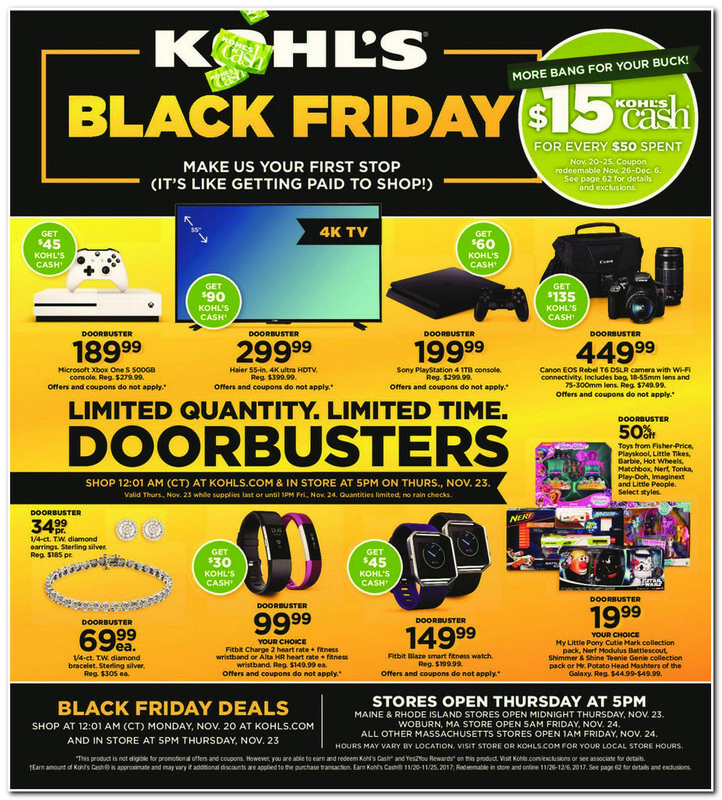 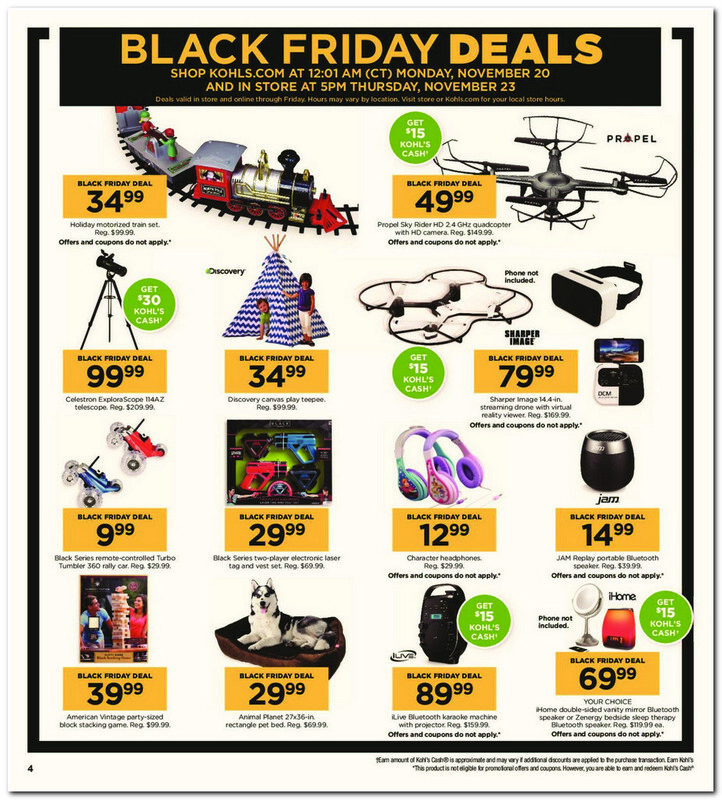 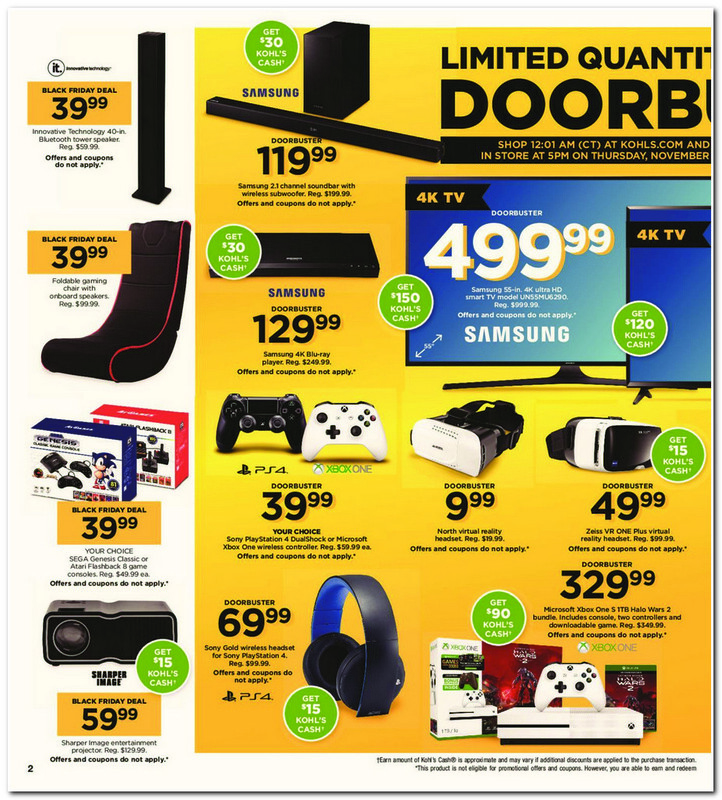 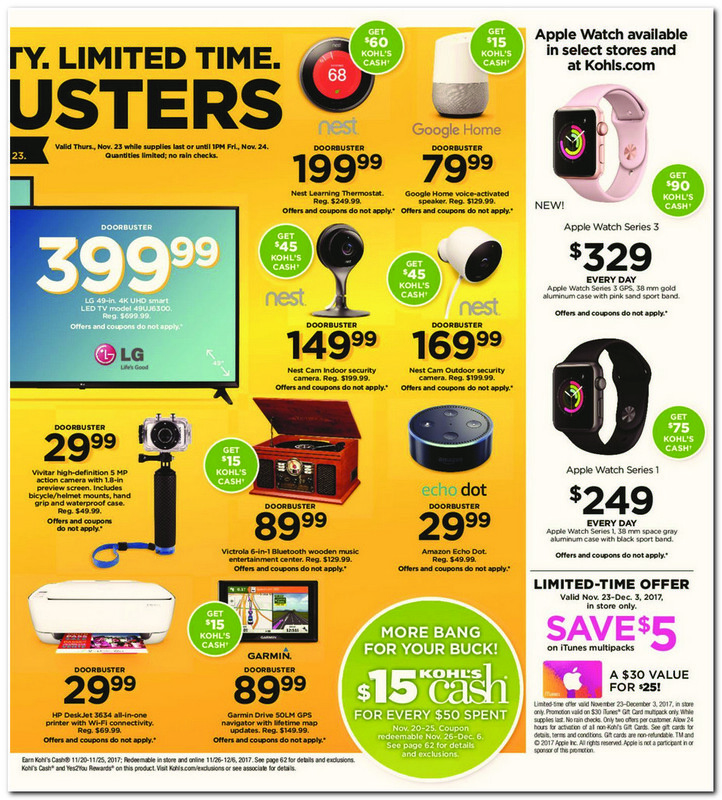 Save with this year Kohls Black Friday deals and pay a lot less for Microsoft Xbox One S 500GB, Haier 55-inch 4K Ultra HDTV, Canon EOS Rebel T6 DSLR Camera + Free $135 Kohls Cash, Sony PlayStation 4TB Console, My Little Pony Cutie Mark Collection Pack, 1/4-ct T.W. 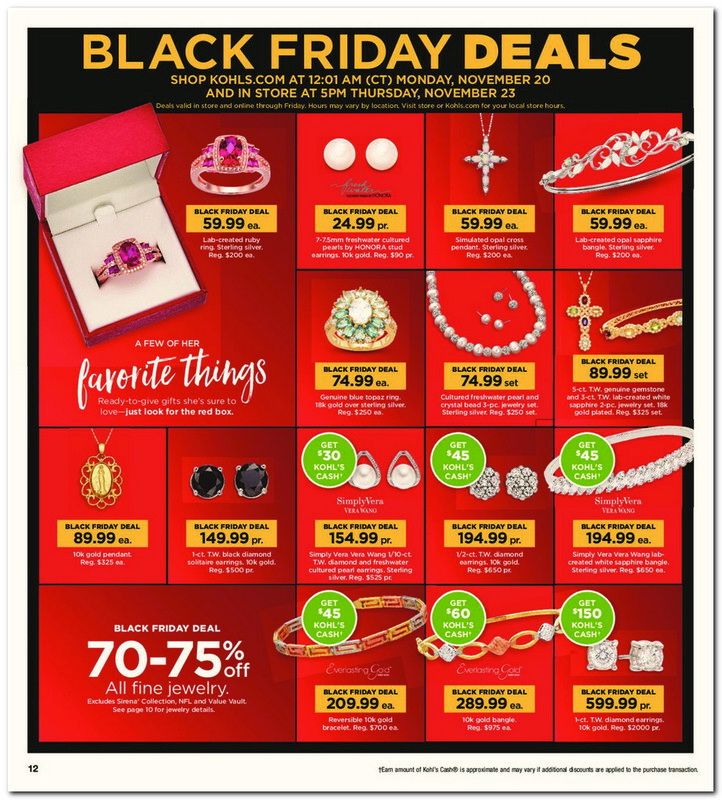 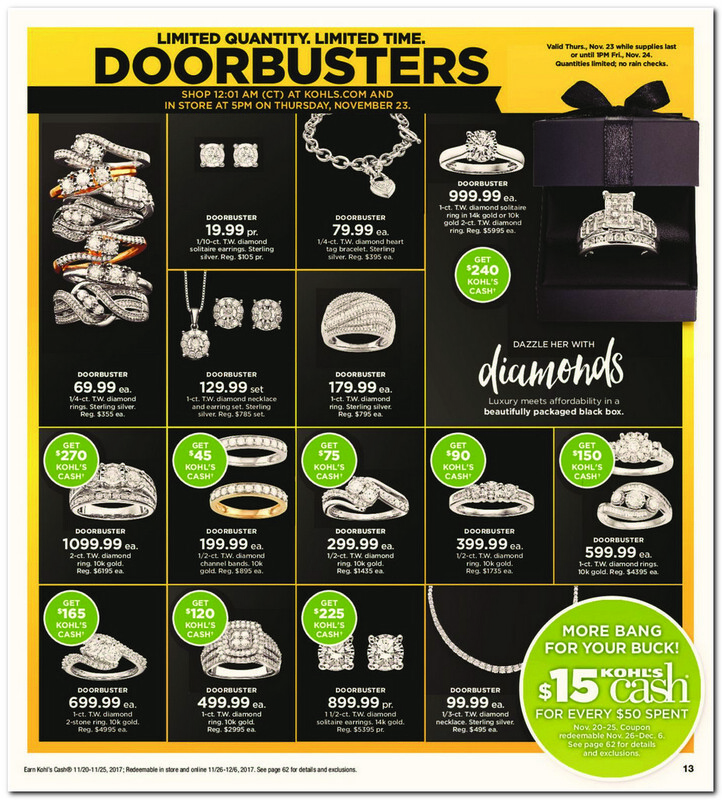 Diamond Bracelet, Fitbit Charge 2 Heart Rate Activity Tracker, Samsung 2.1-Channel Soundbar w/ Wireless Subwoffer + $30 Kohls Cash, Samsung UN55MU6290 50-inch 4K Ultra HD Smart TV + $150 Kohls Cash and so much more. 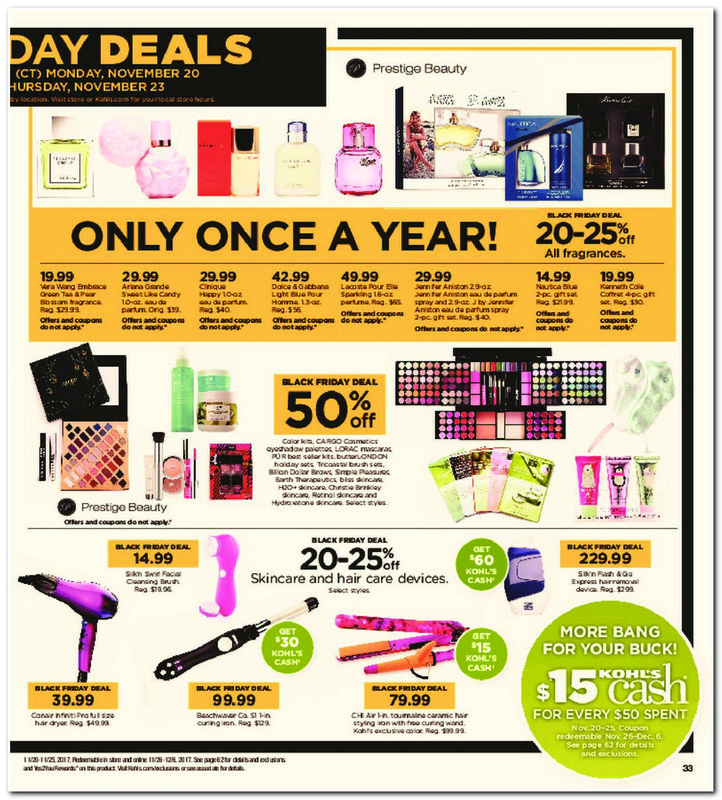 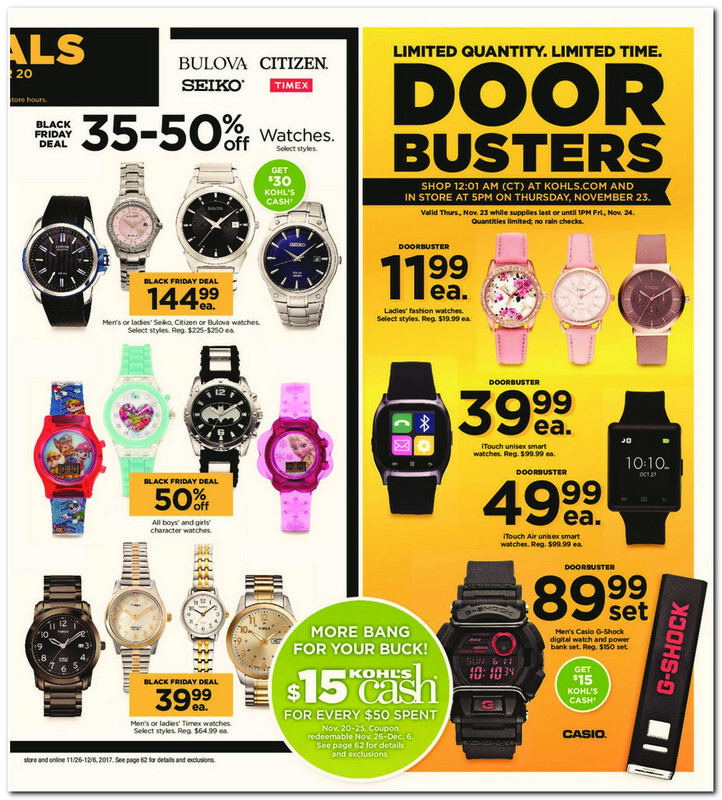 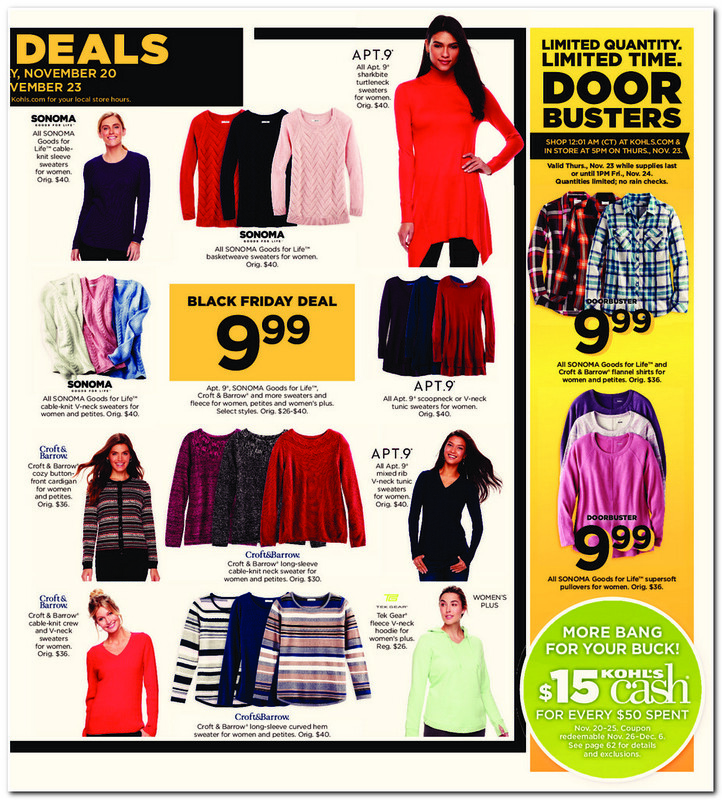 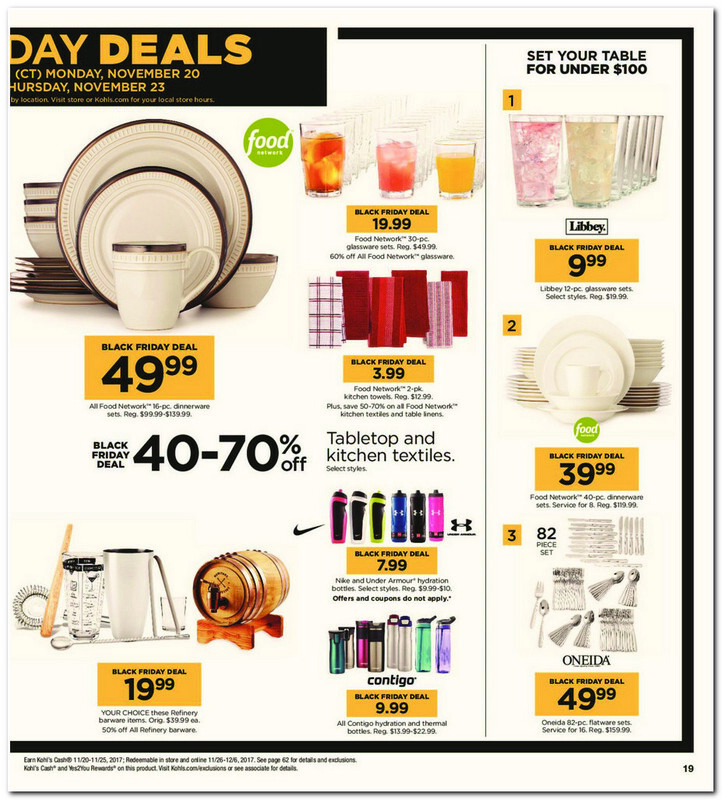 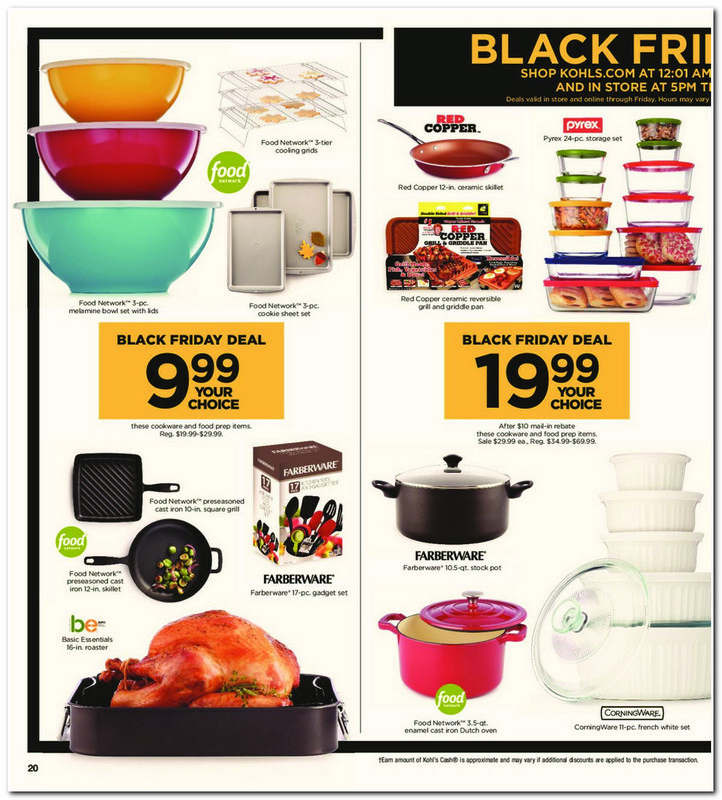 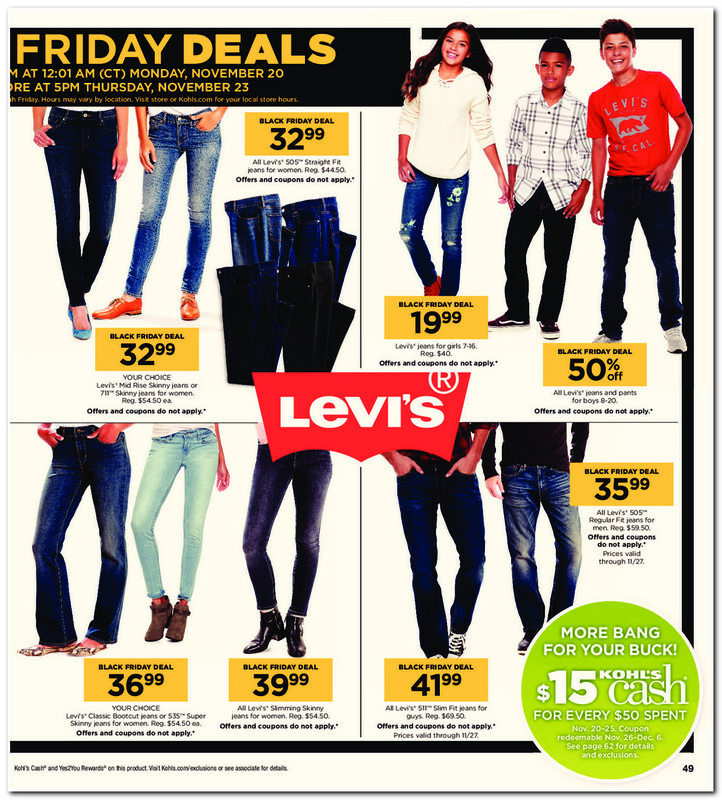 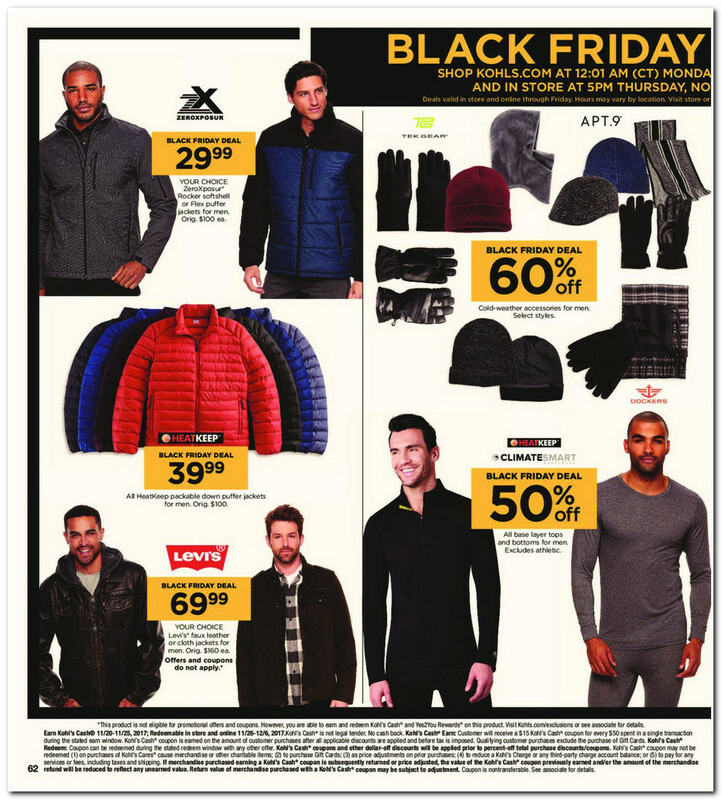 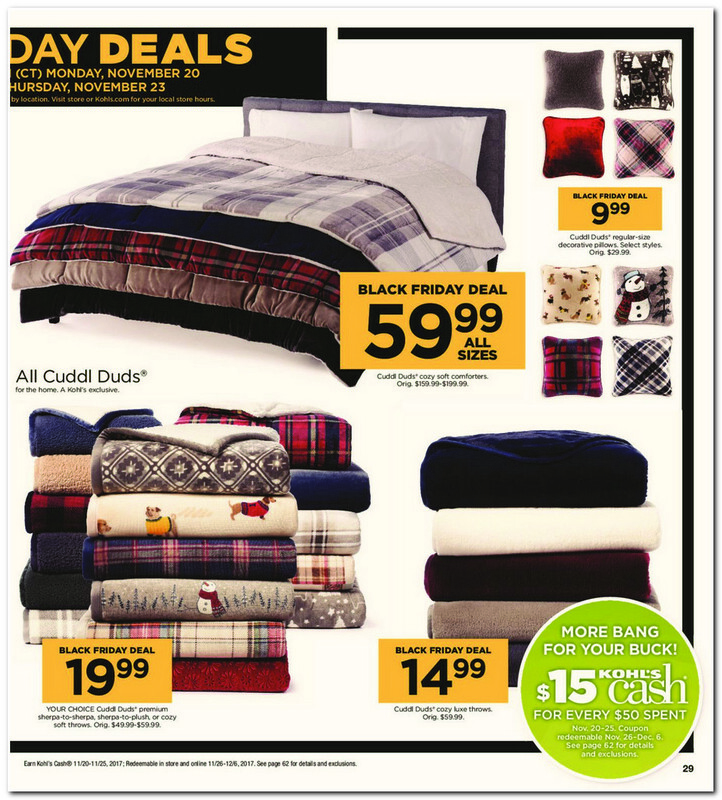 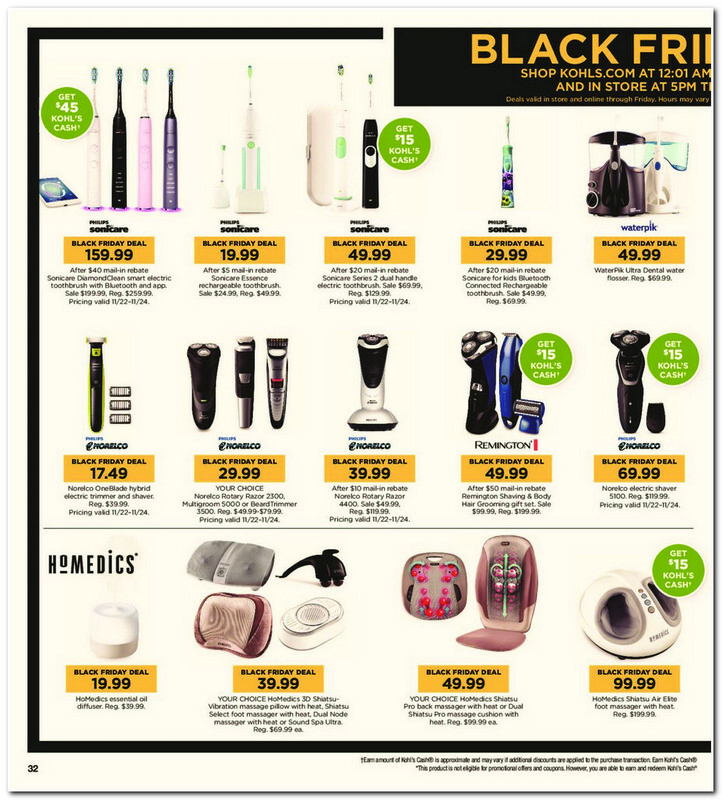 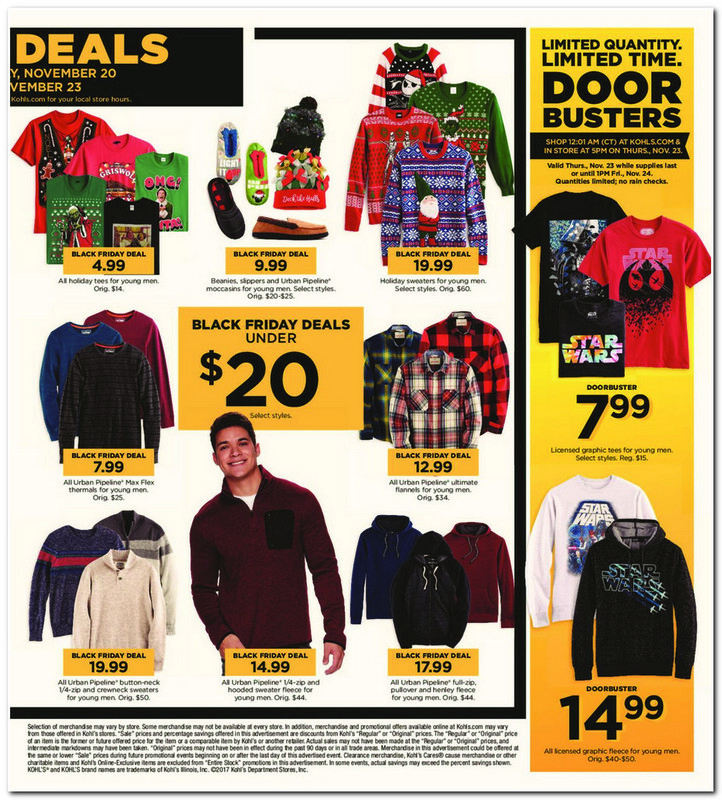 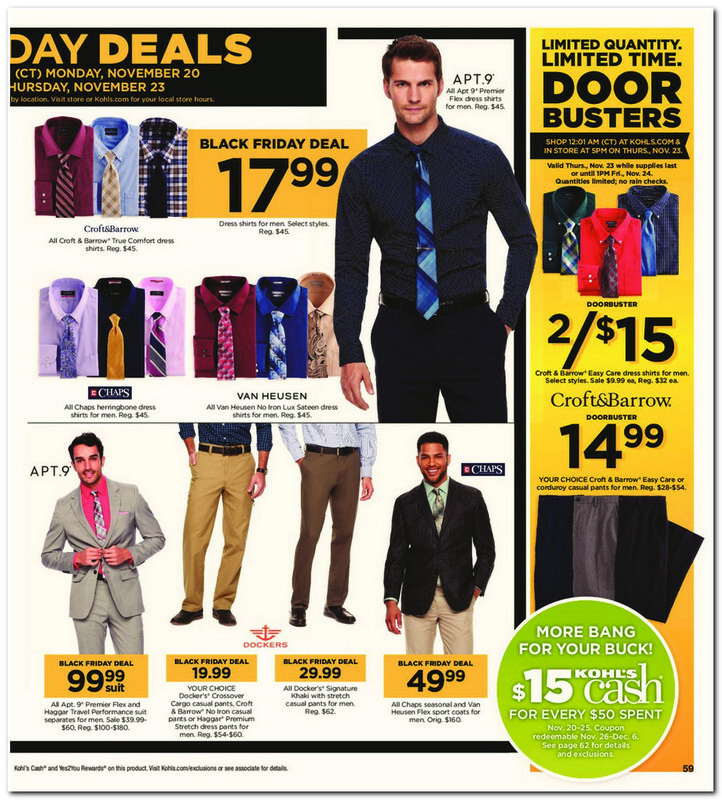 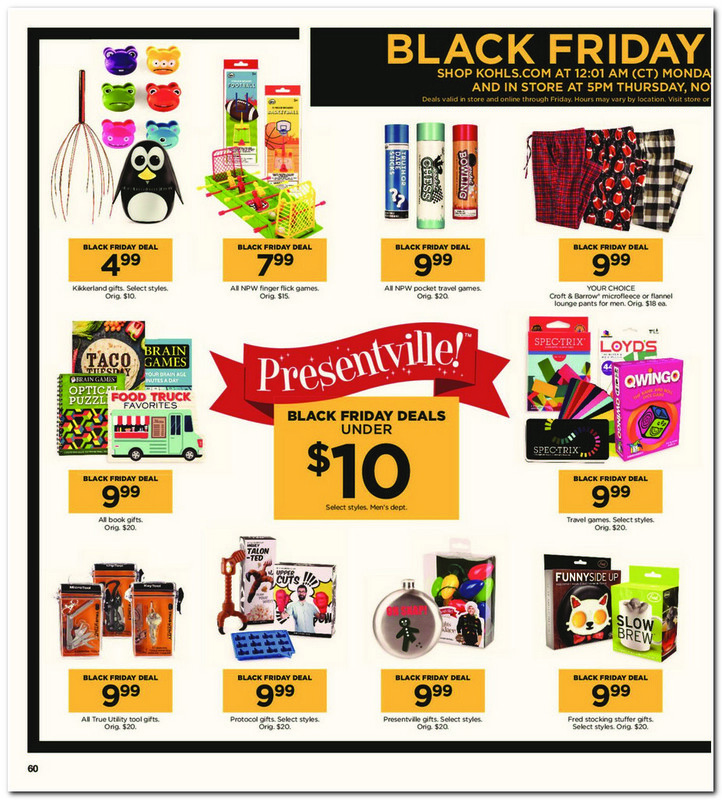 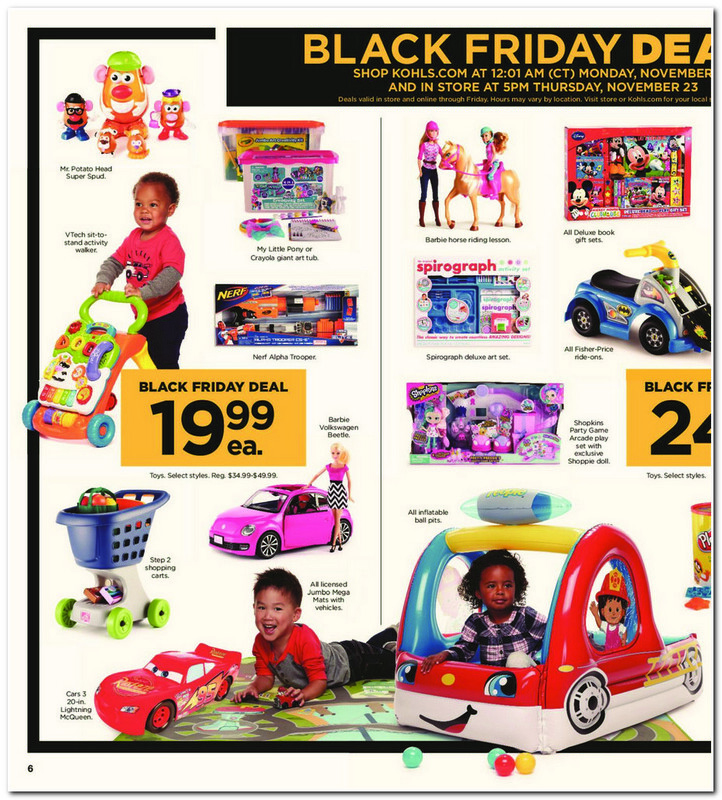 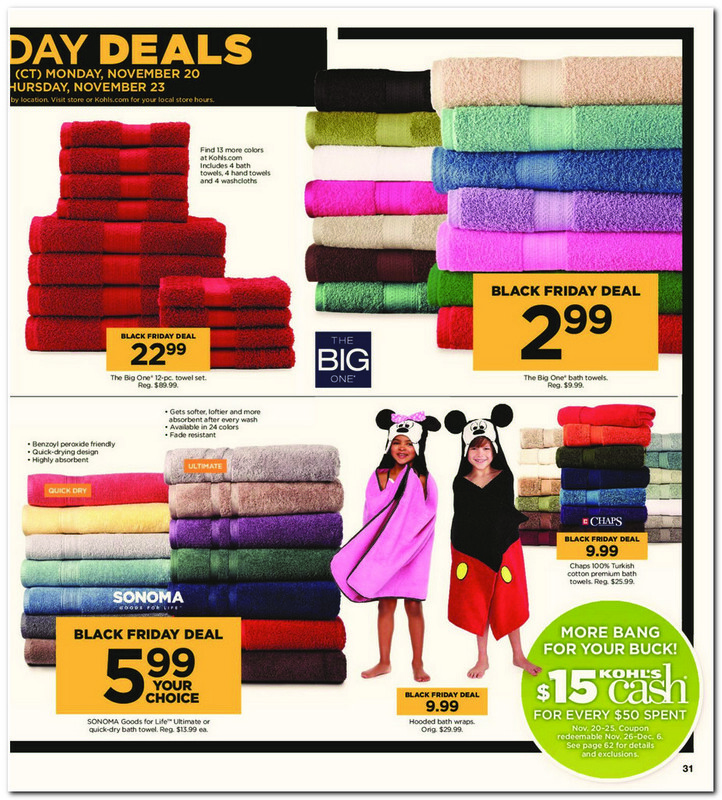 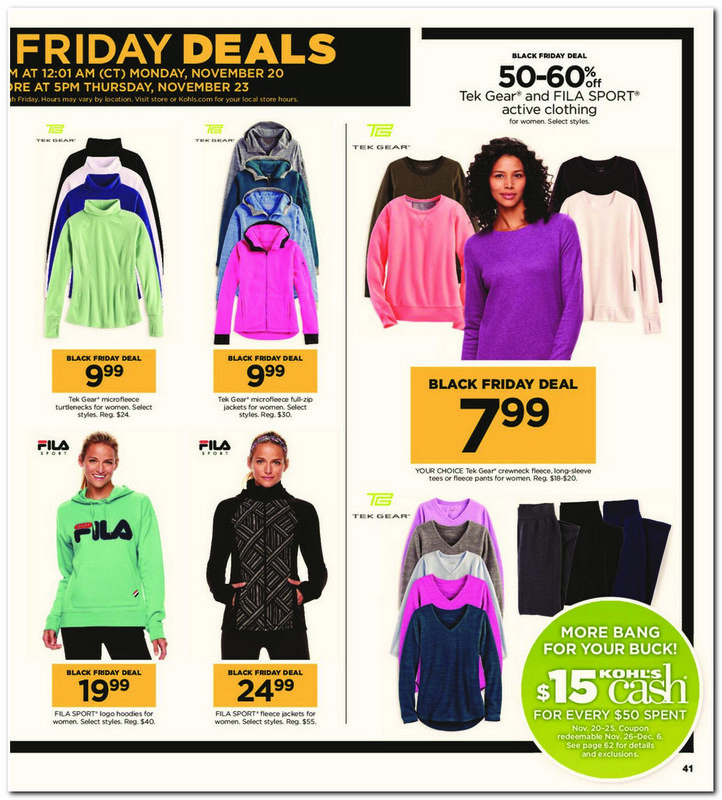 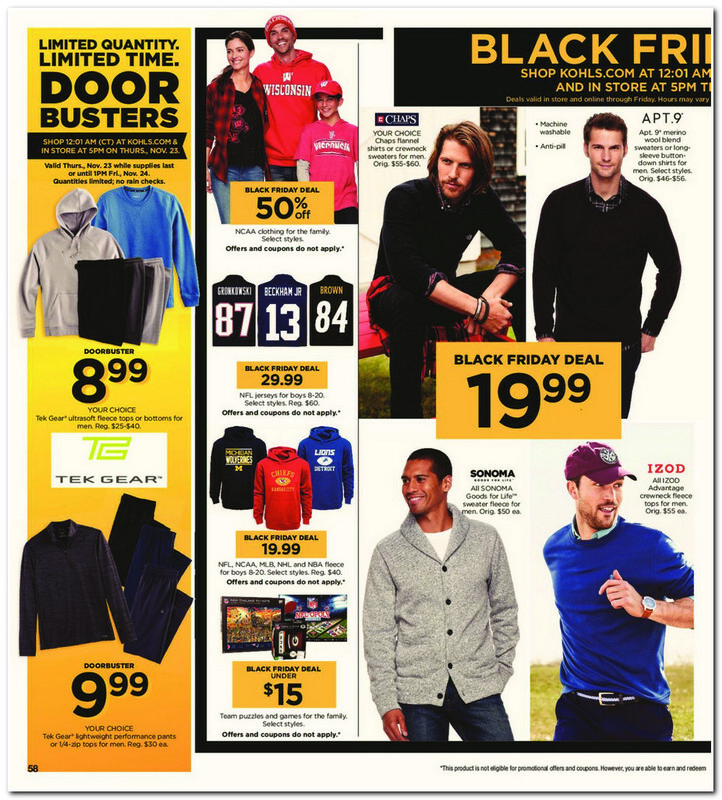 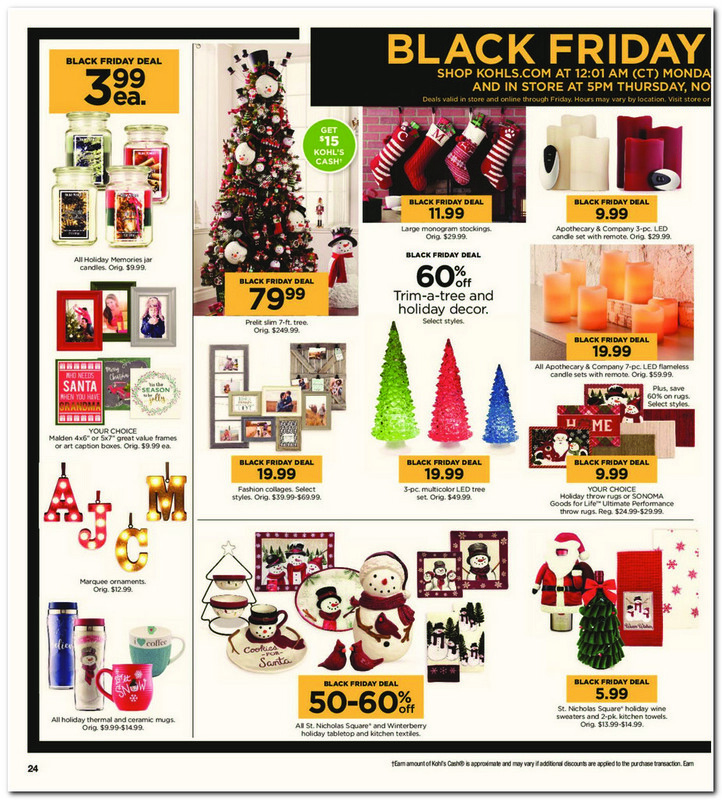 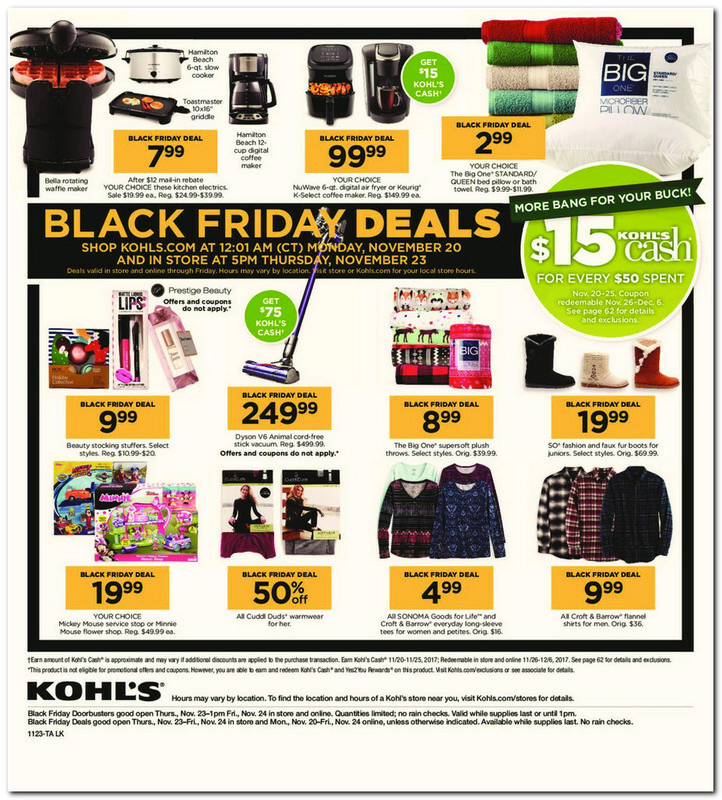 Browse this year Kohls Black Friday deals before heading out to shop.